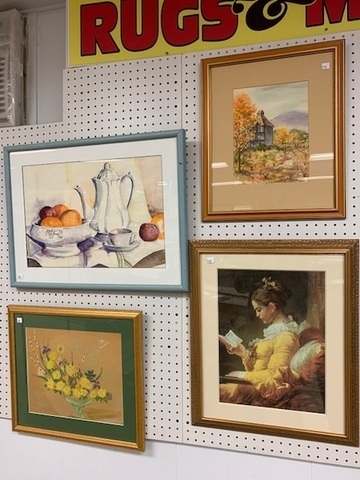 The Gallery is full, full, full!!! 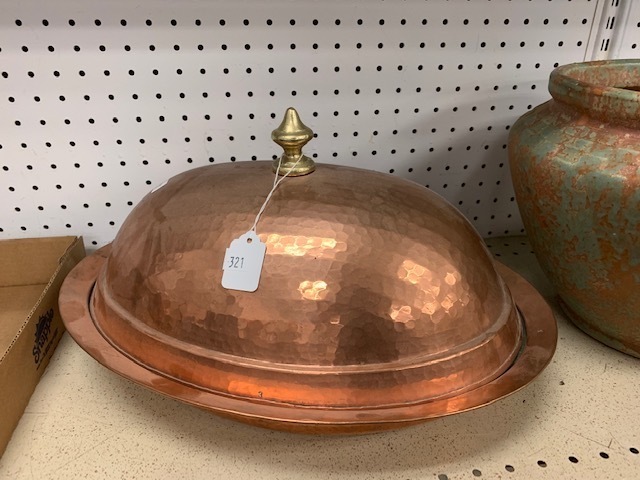 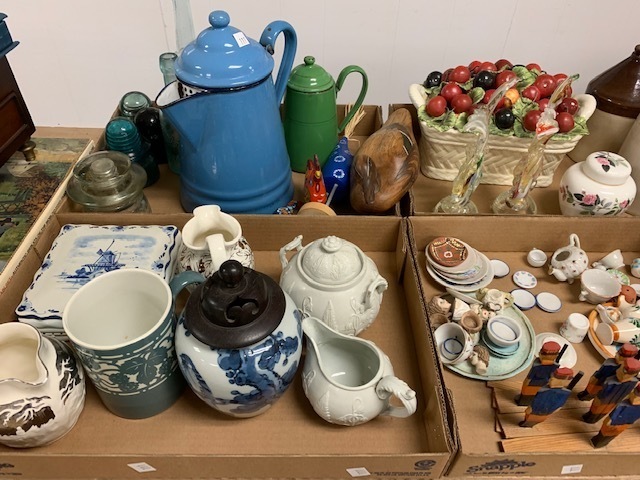 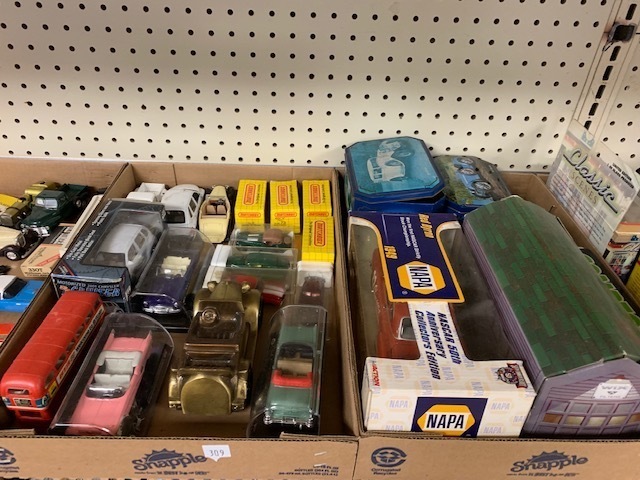 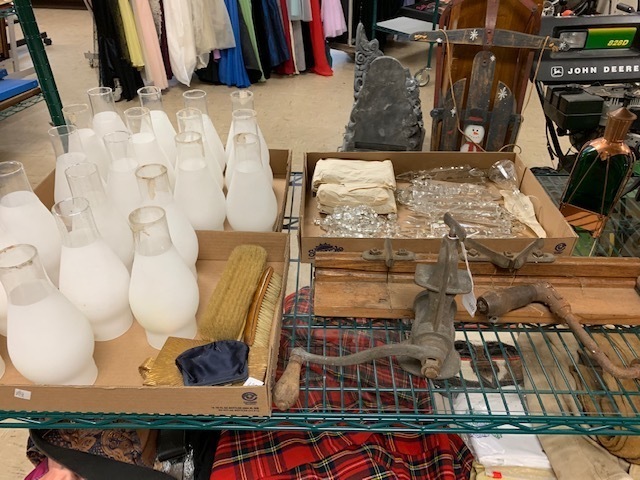 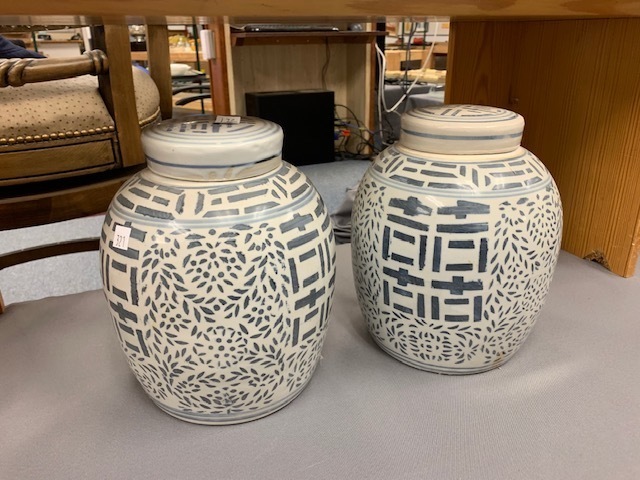 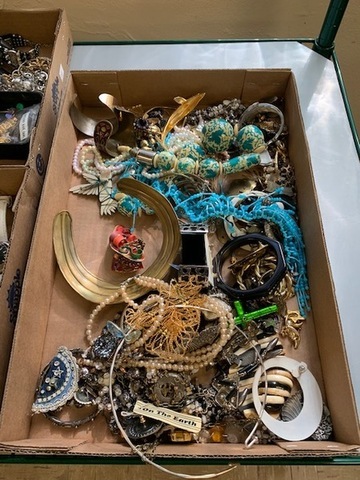 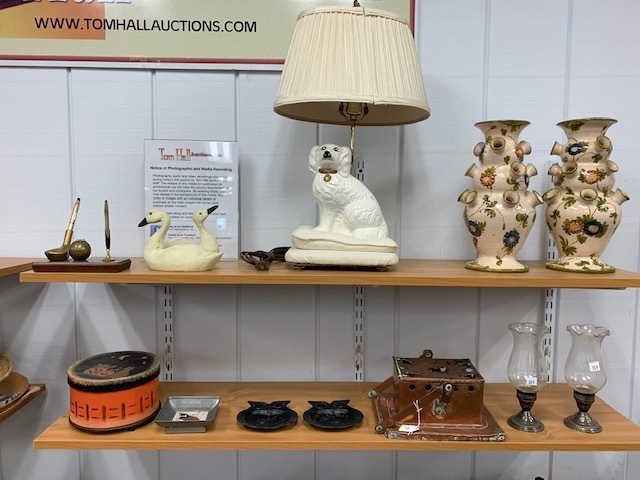 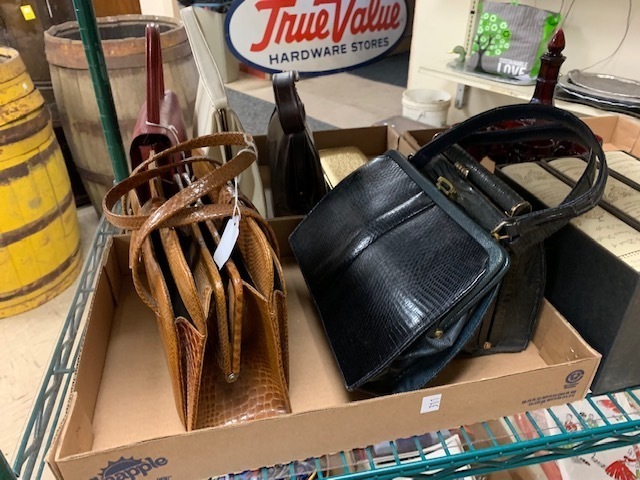 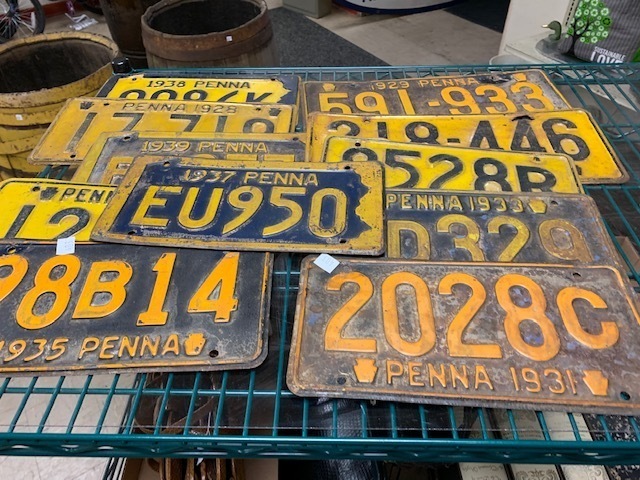 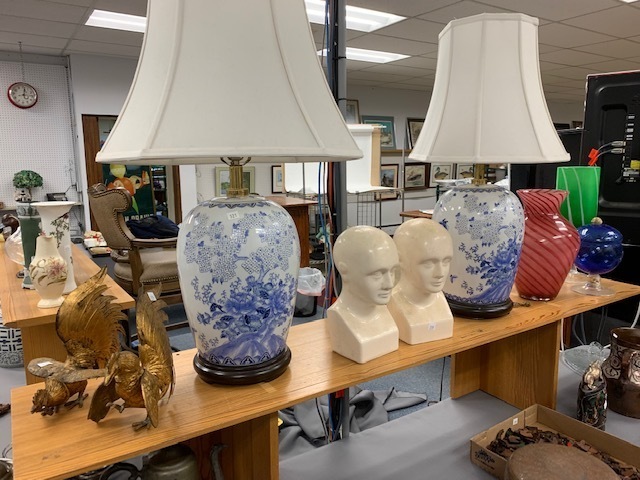 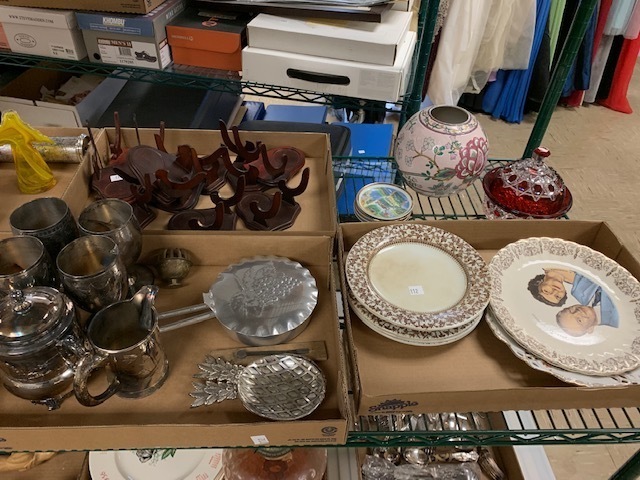 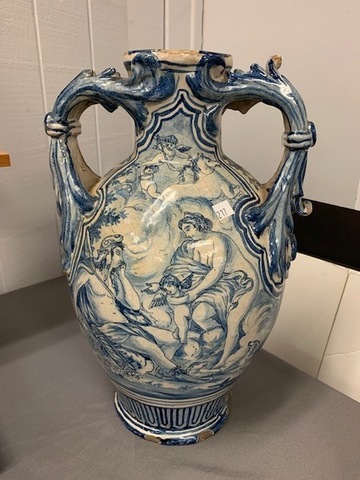 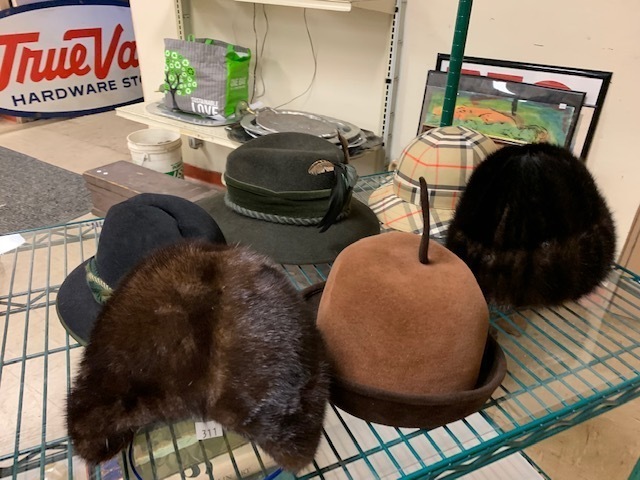 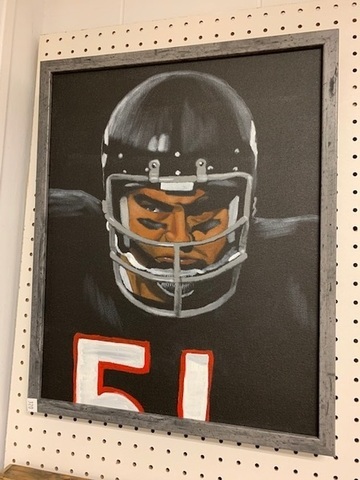 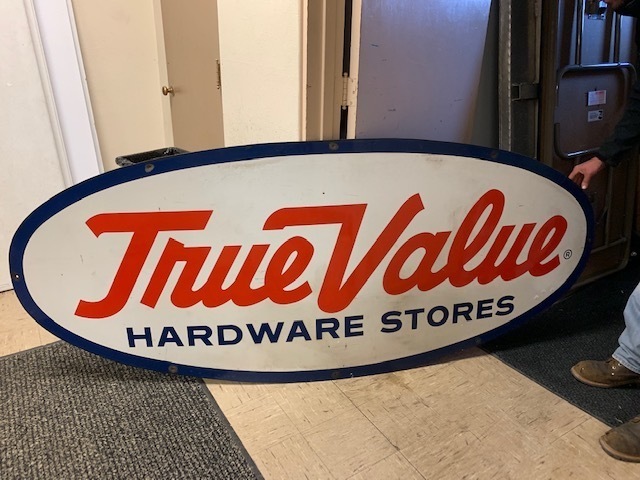 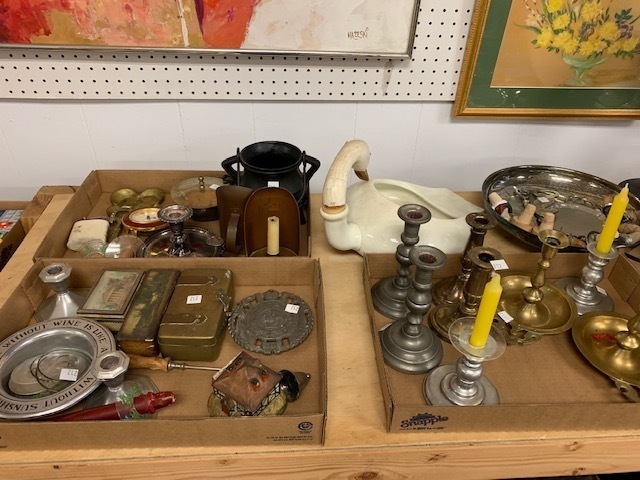 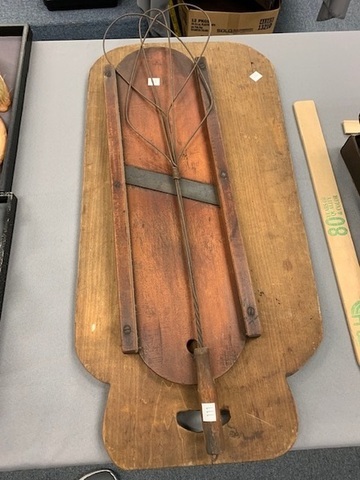 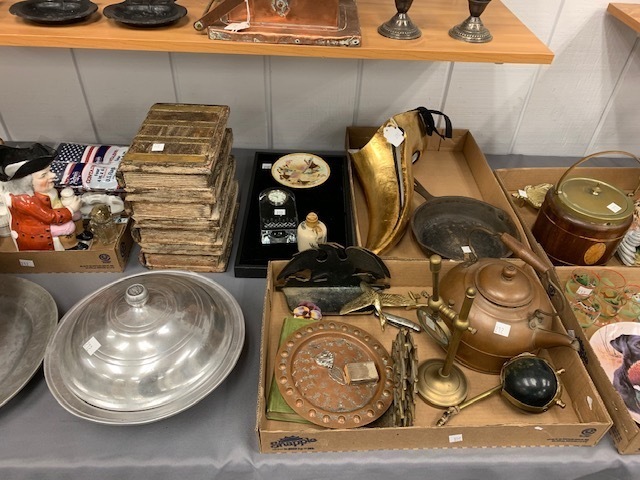 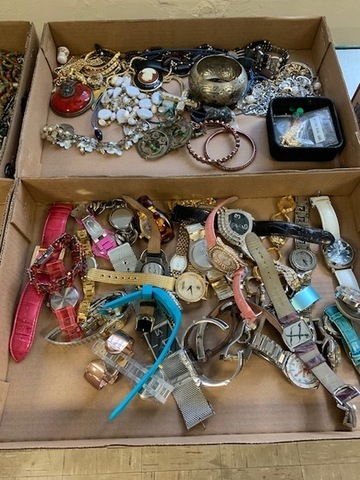 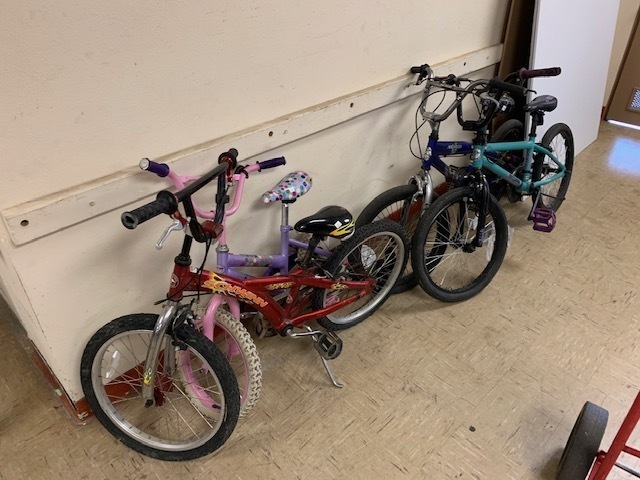 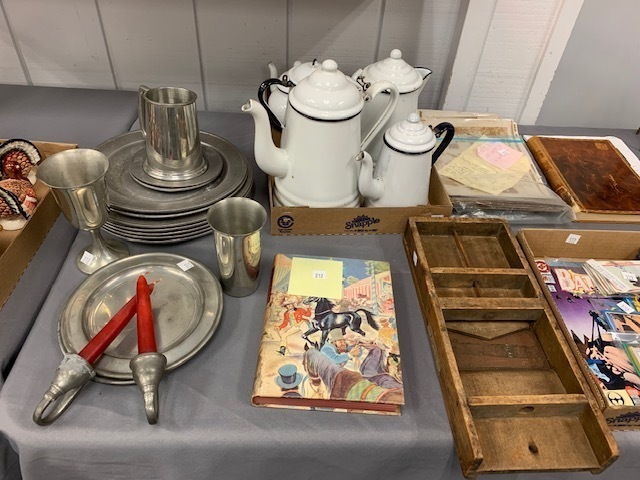 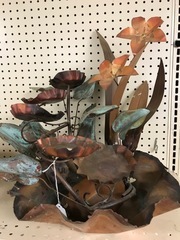 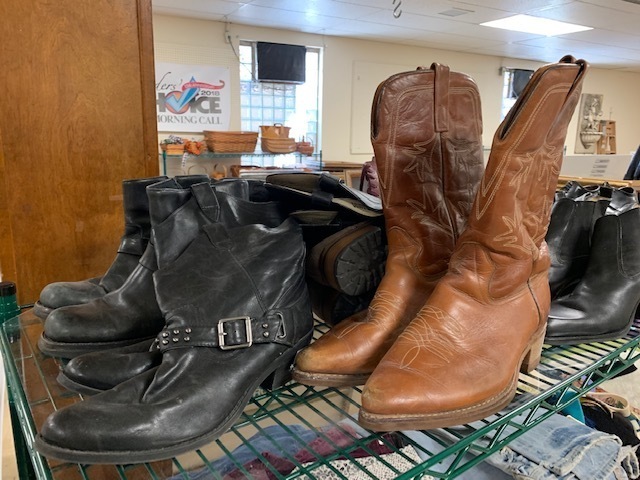 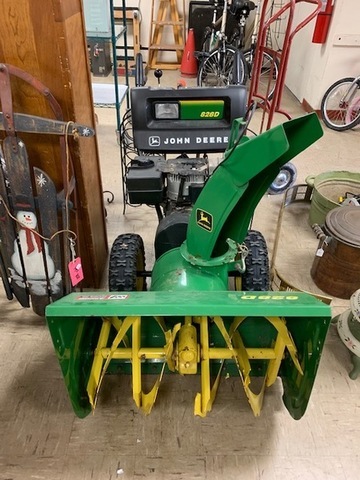 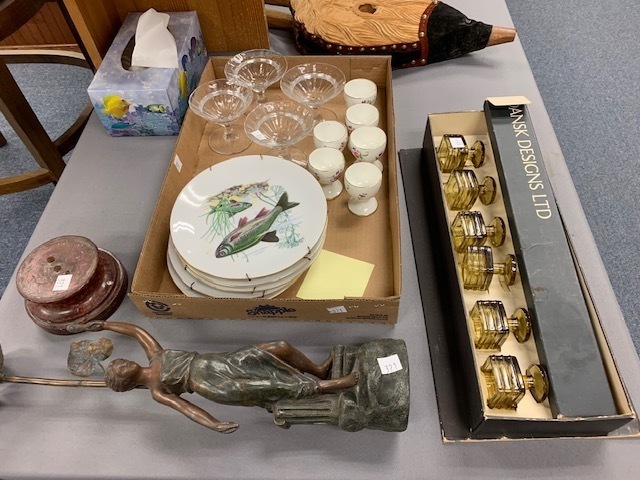 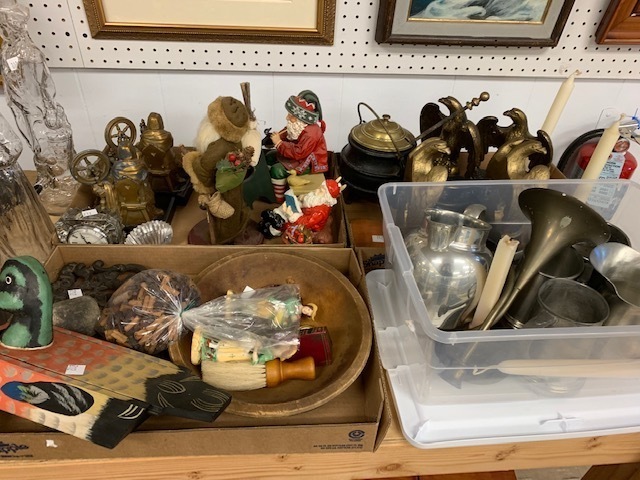 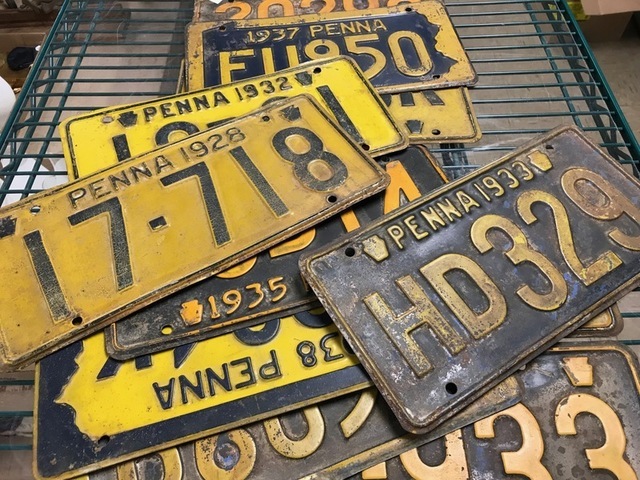 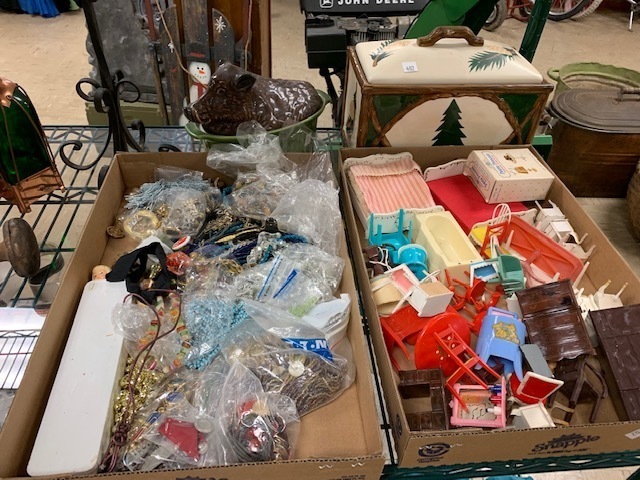 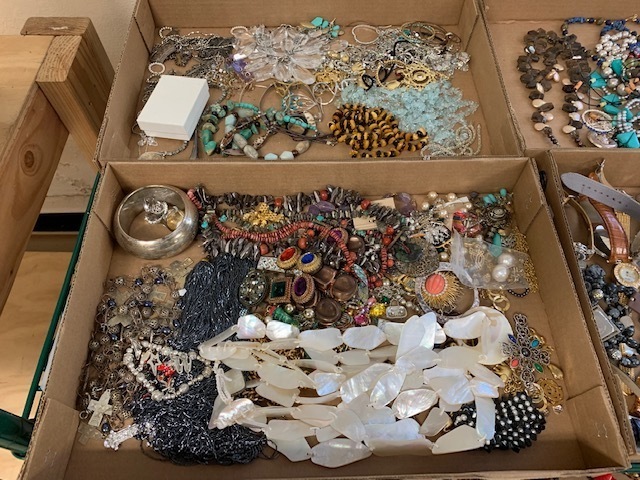 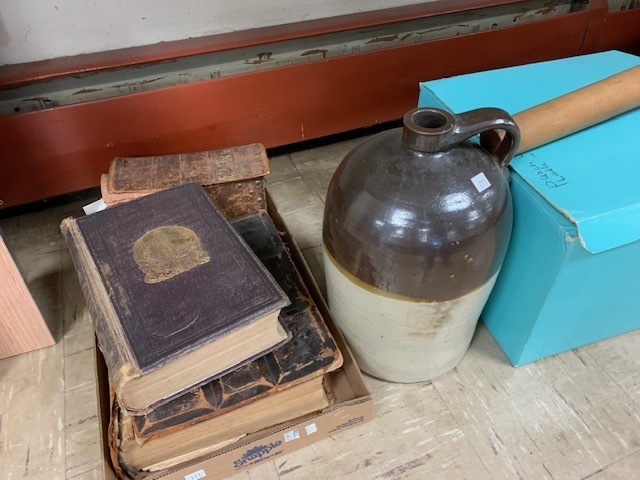 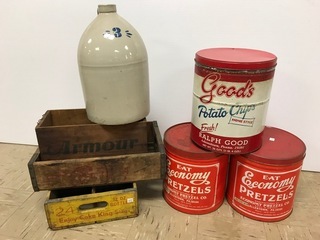 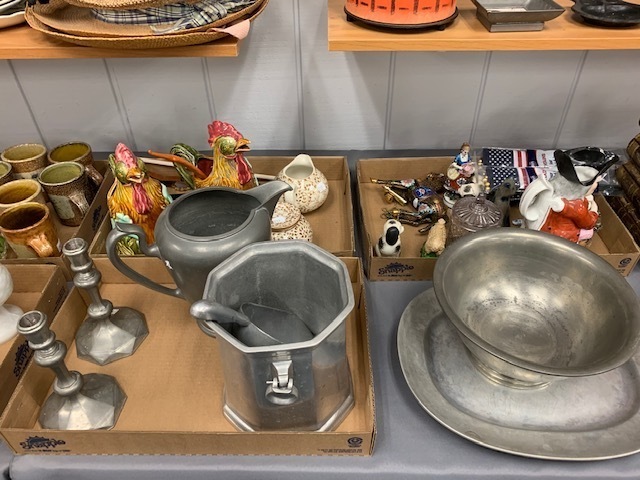 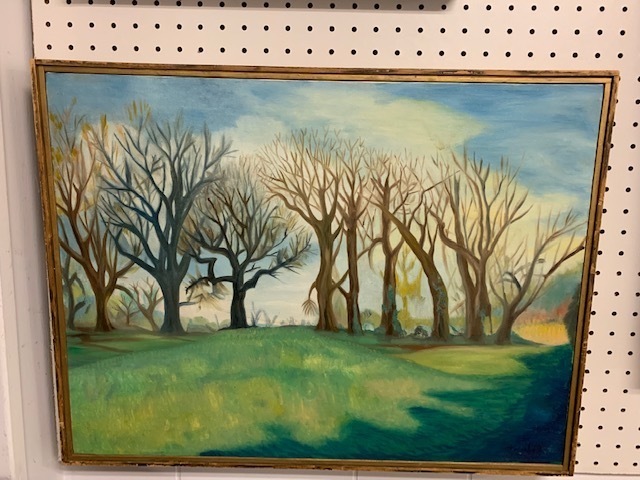 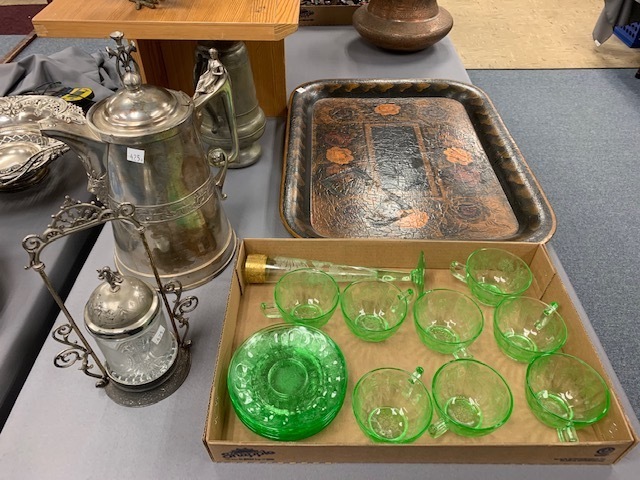 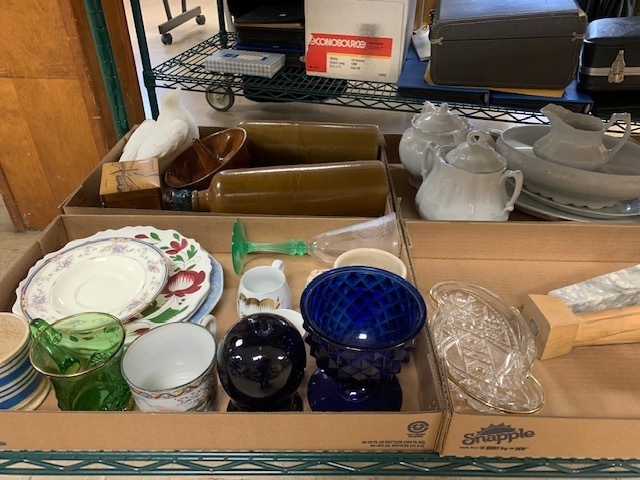 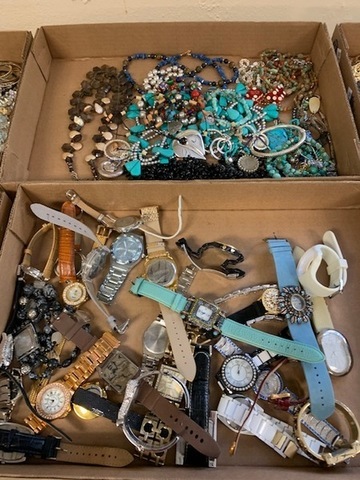 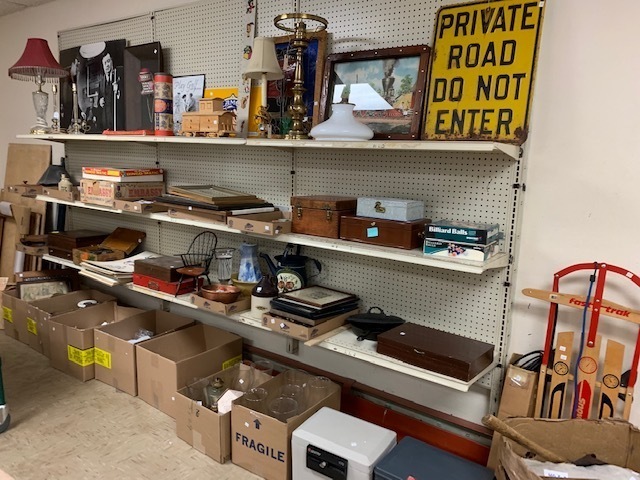 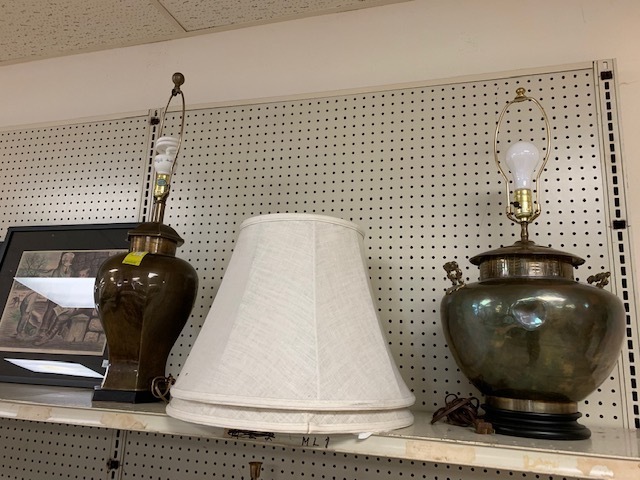 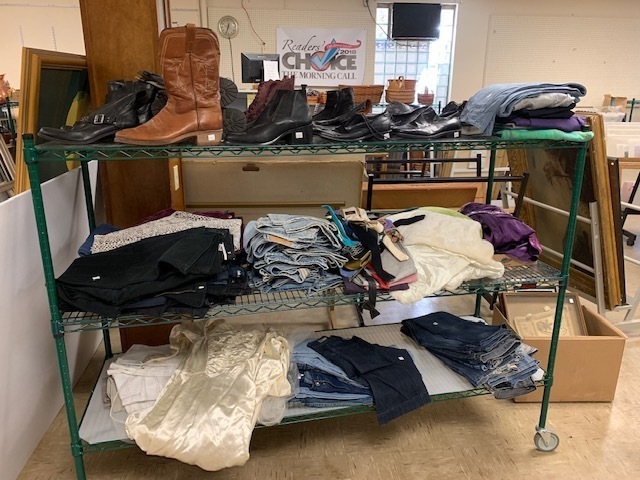 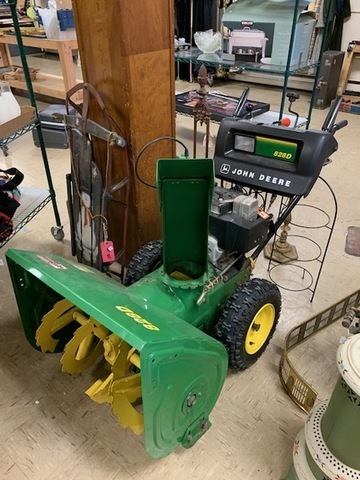 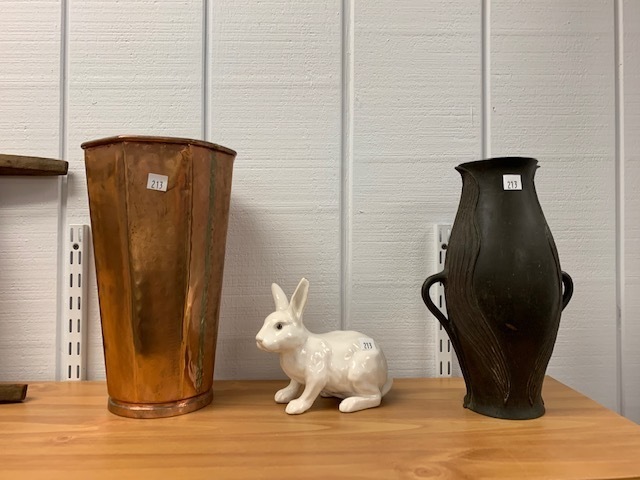 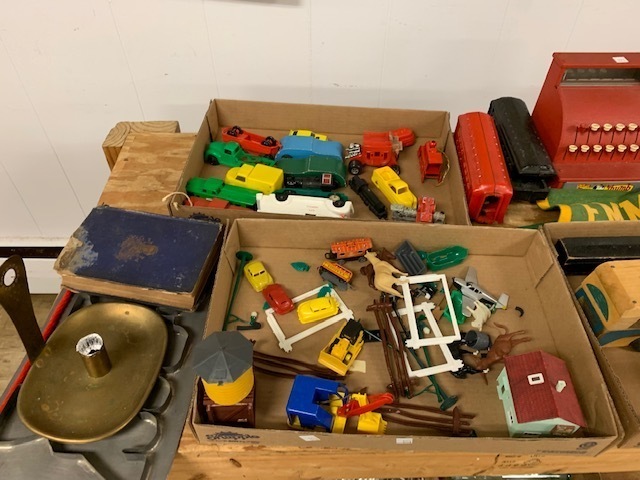 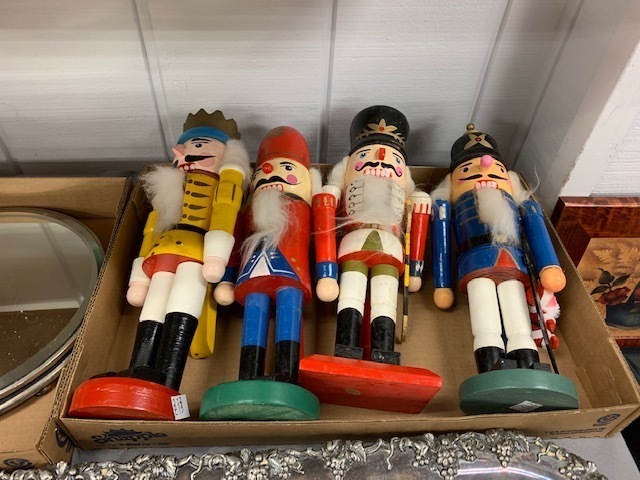 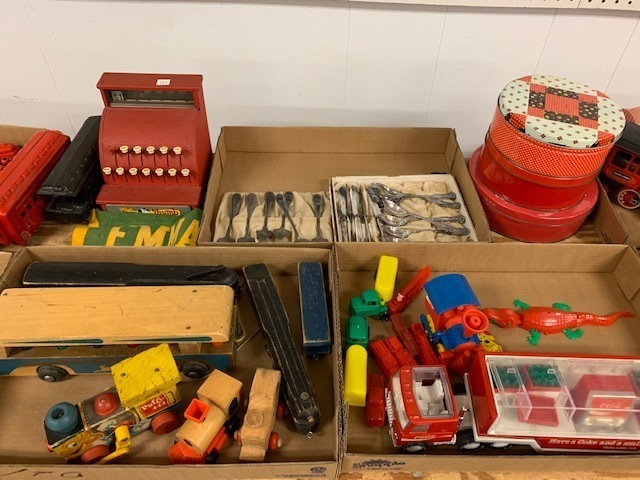 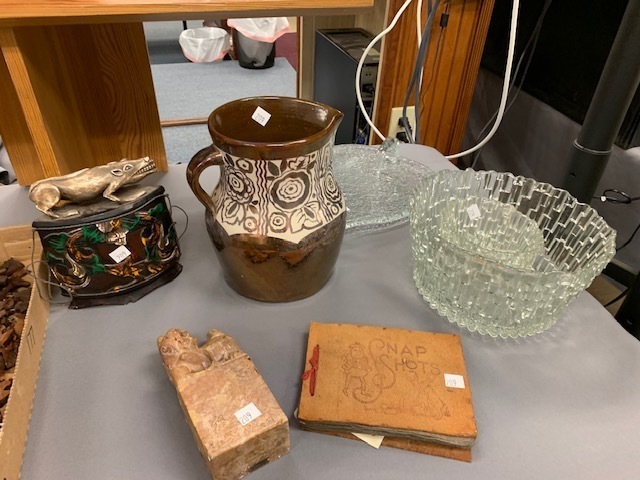 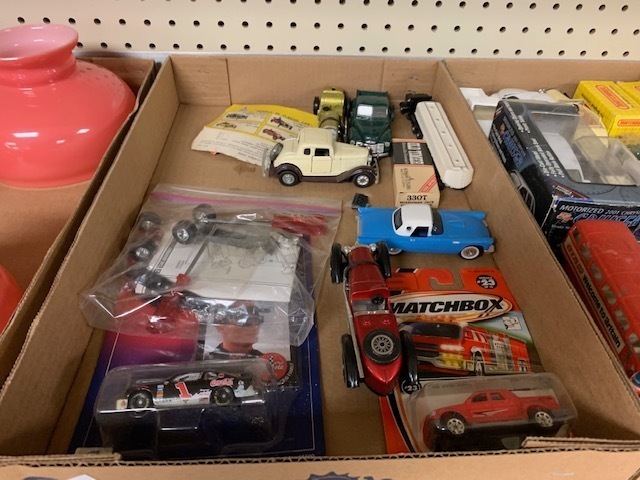 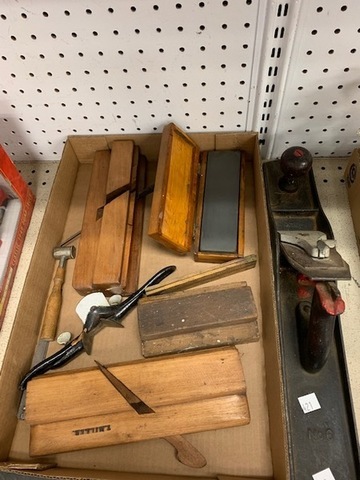 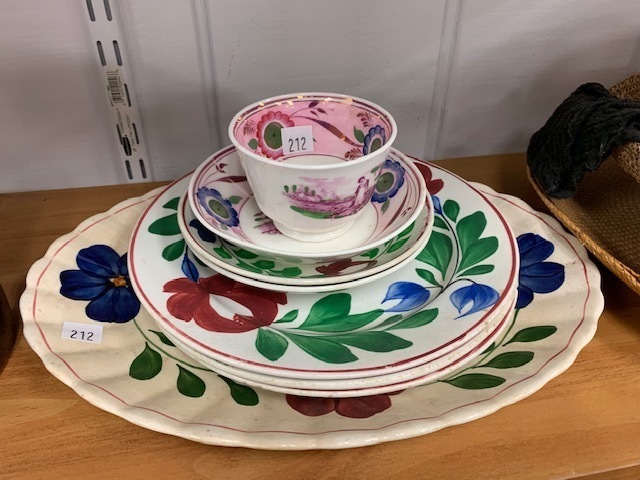 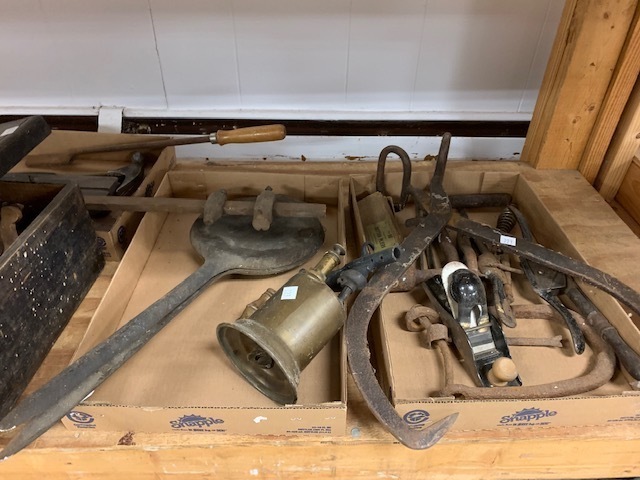 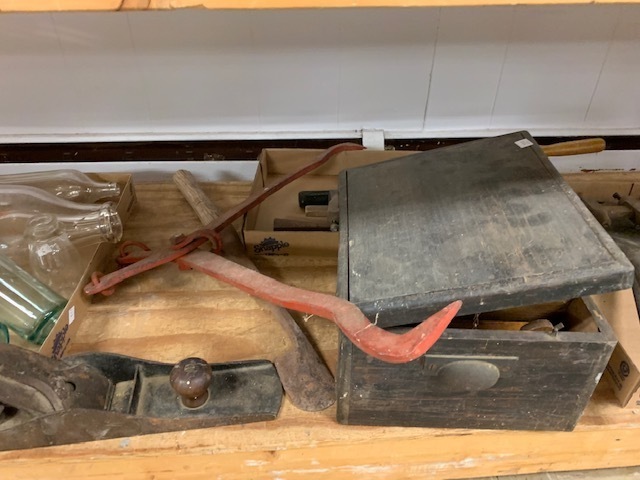 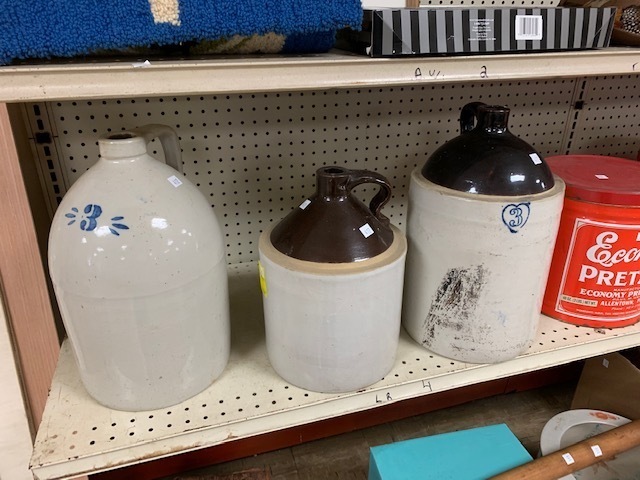 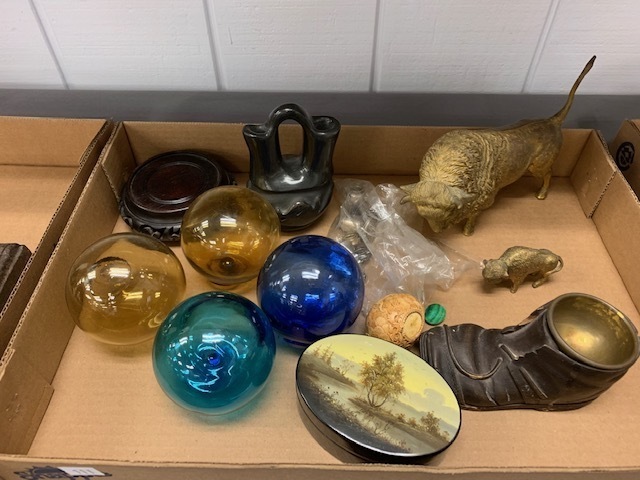 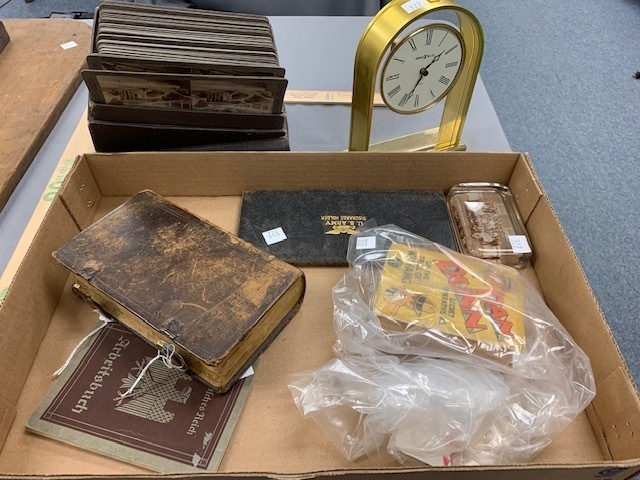 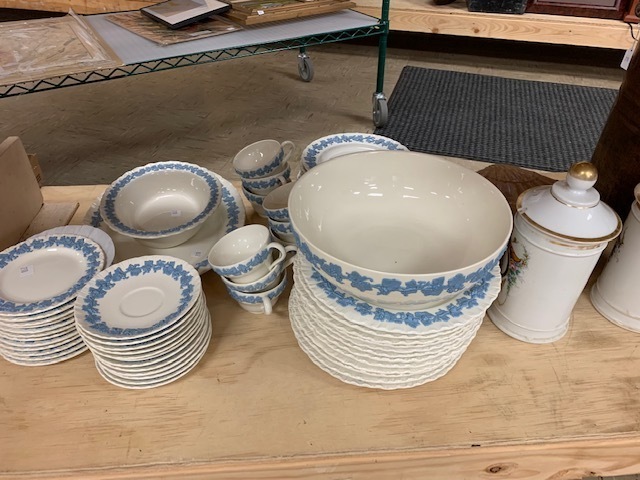 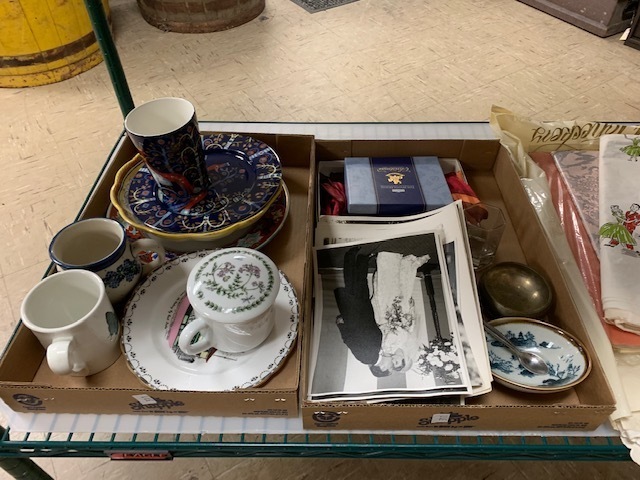 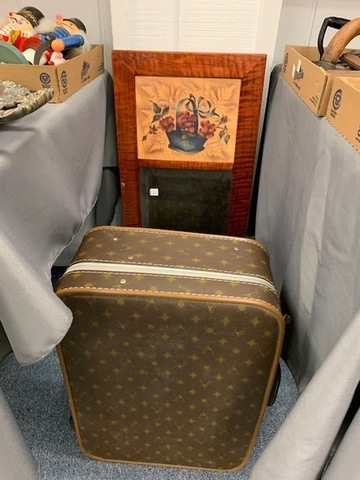 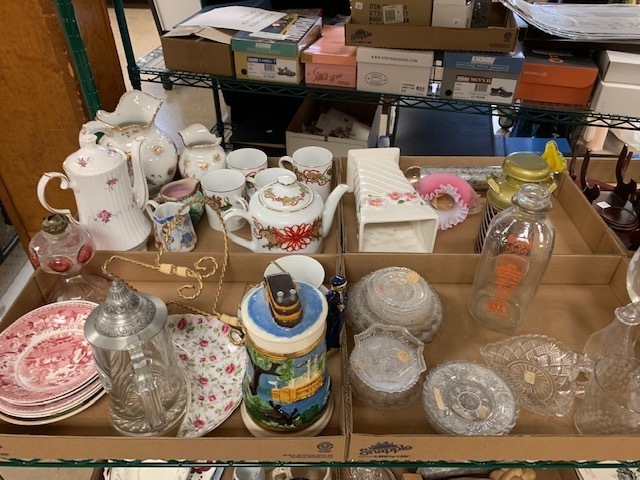 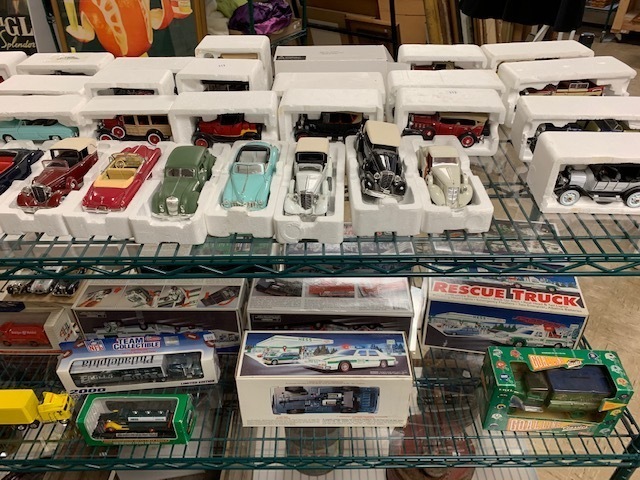 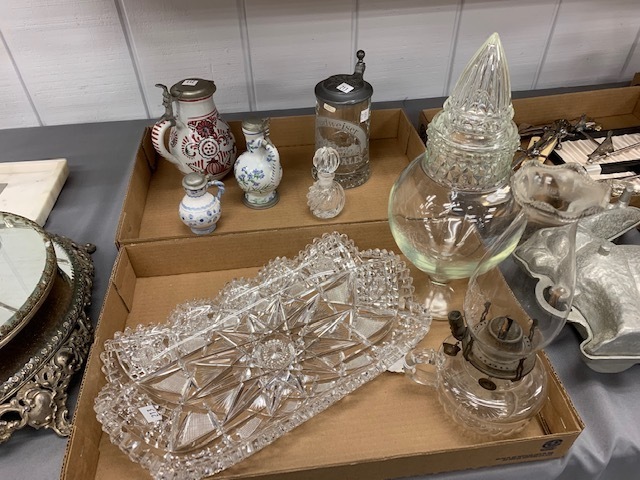 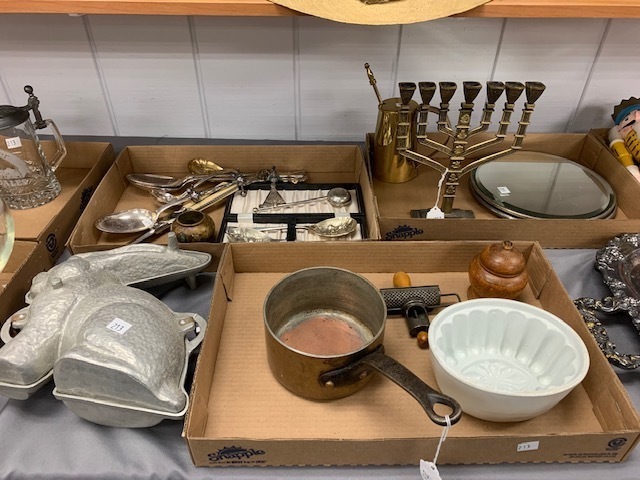 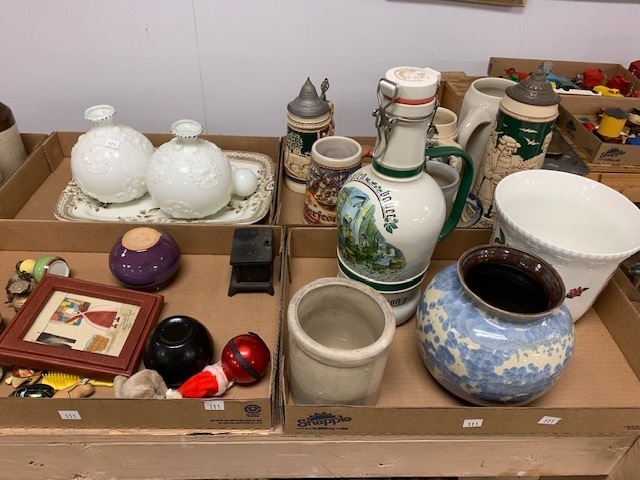 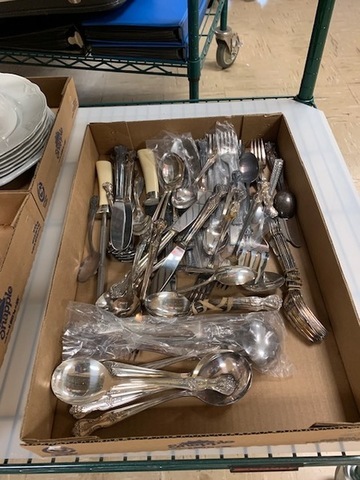 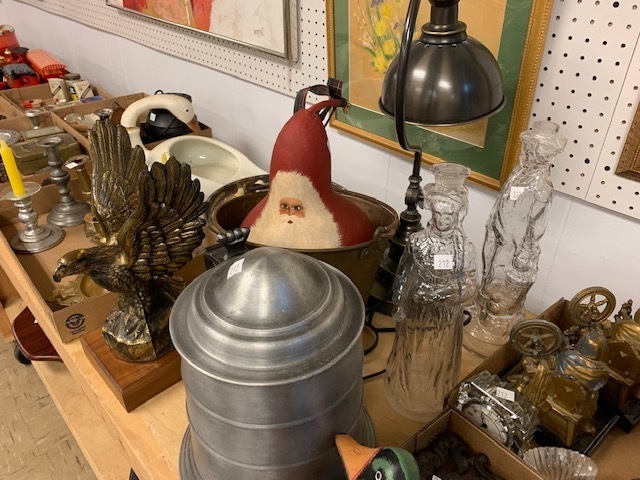 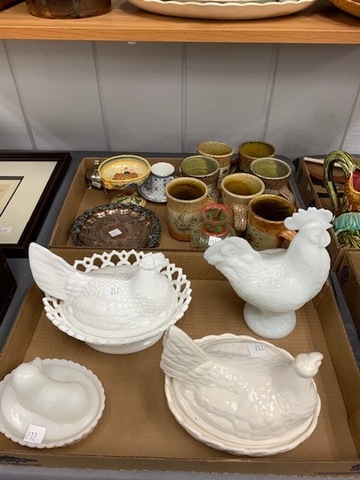 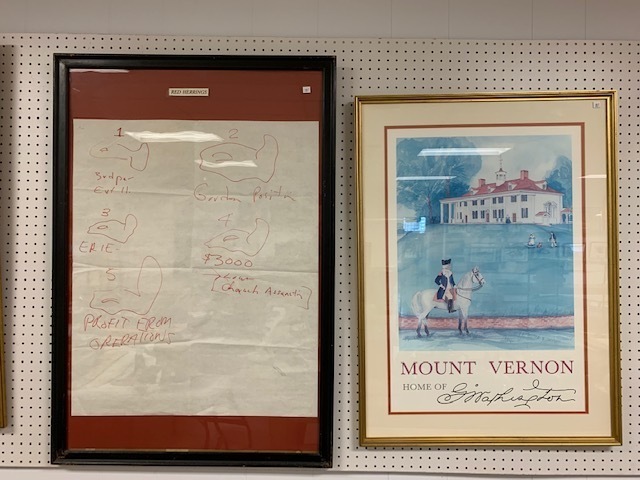 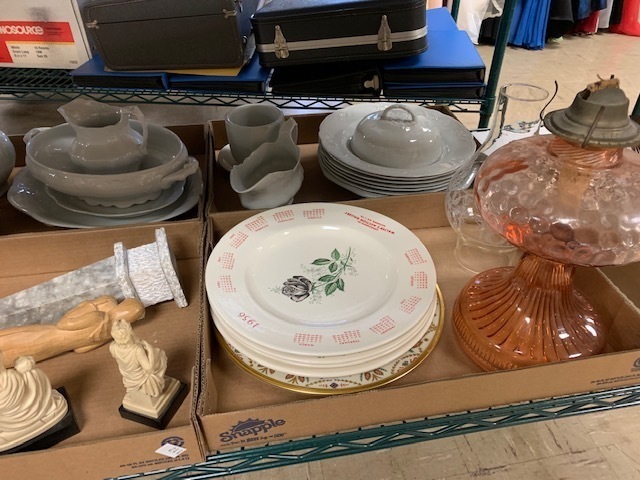 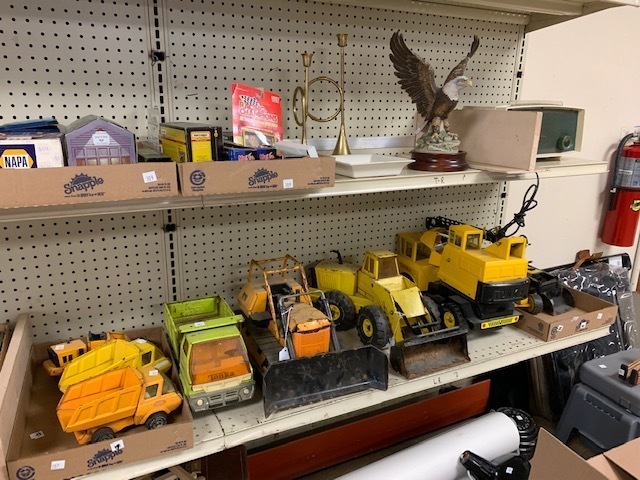 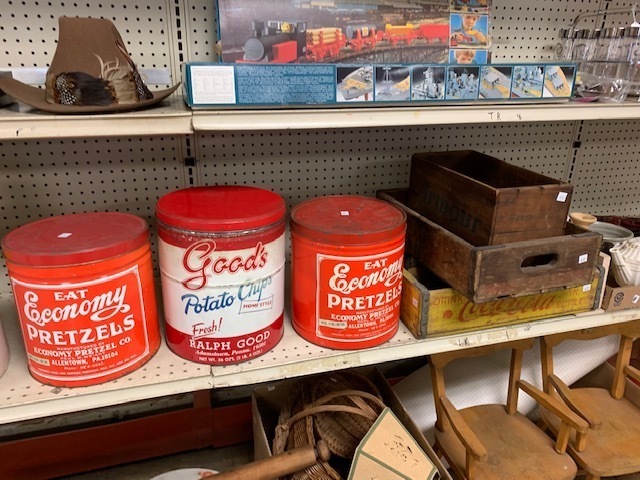 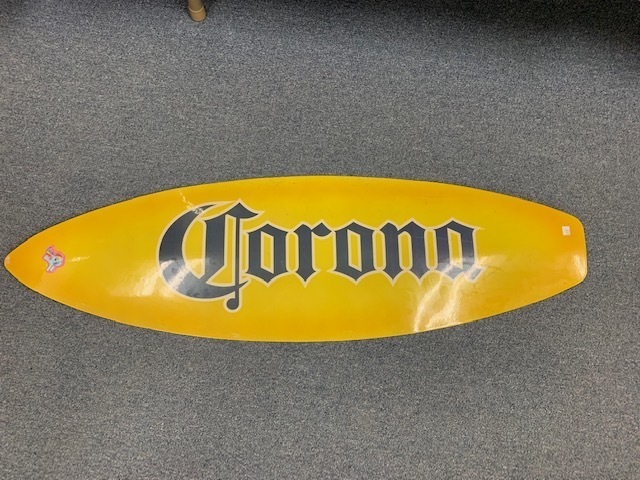 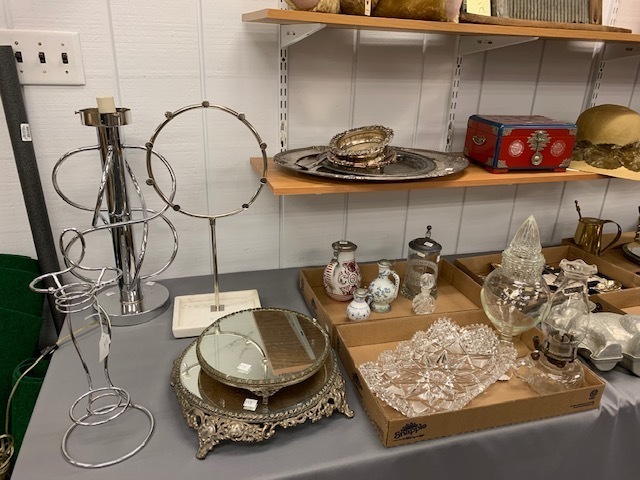 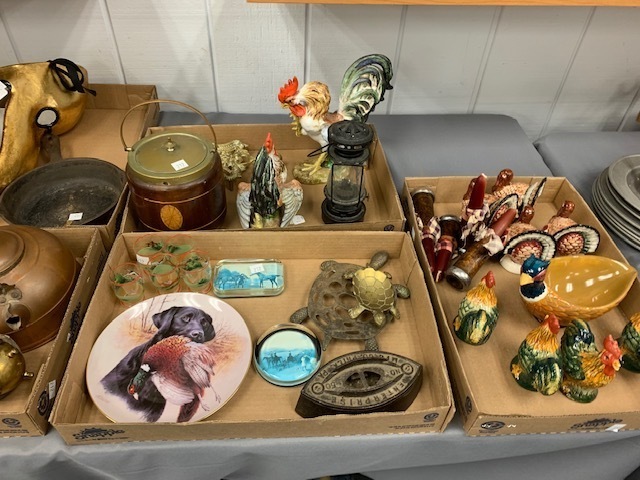 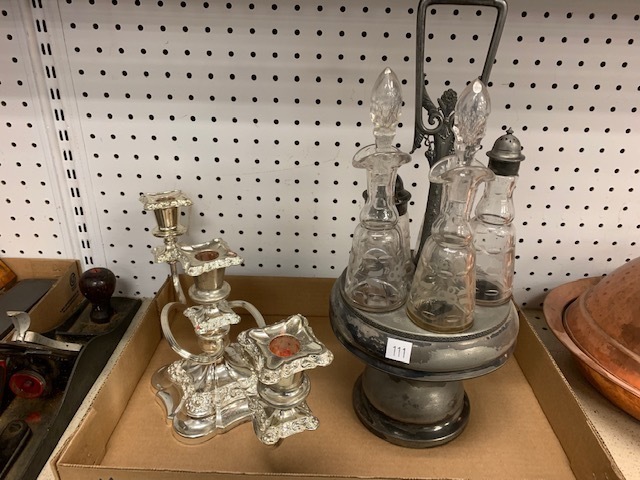 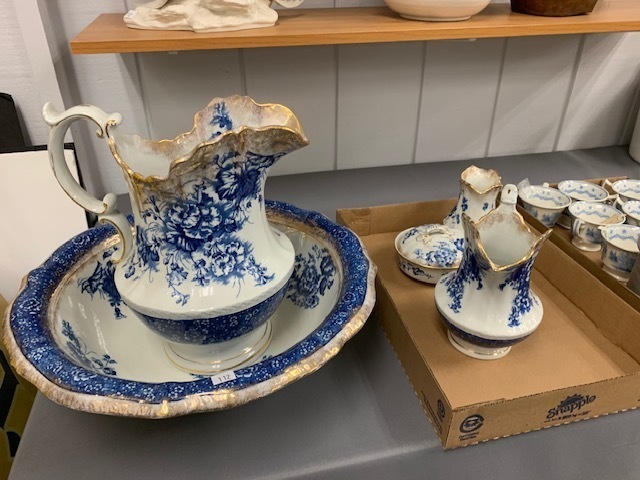 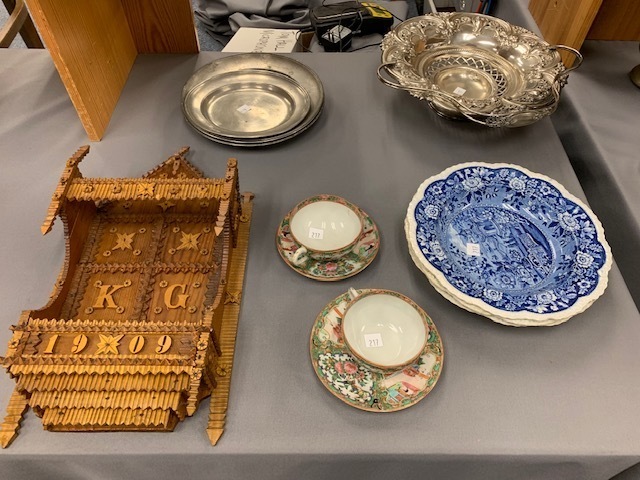 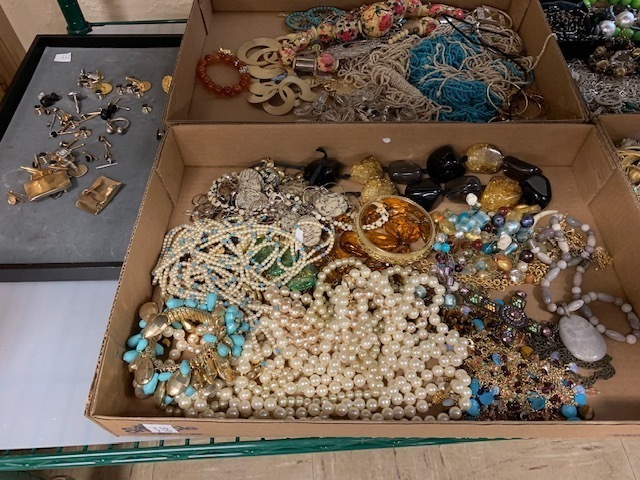 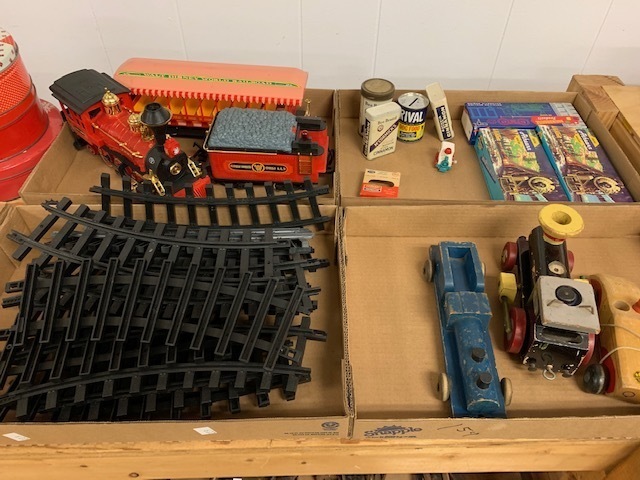 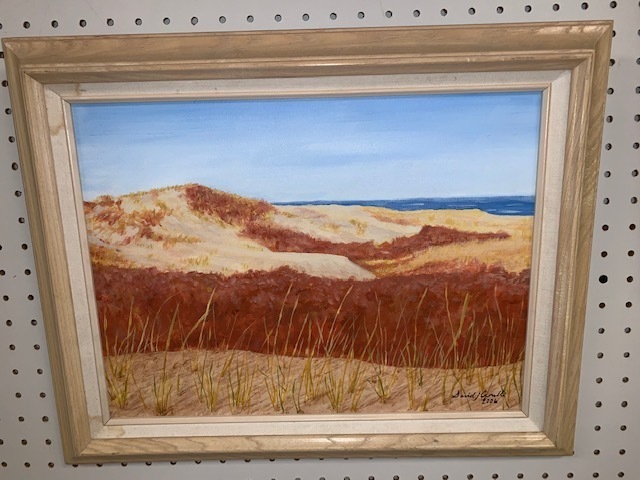 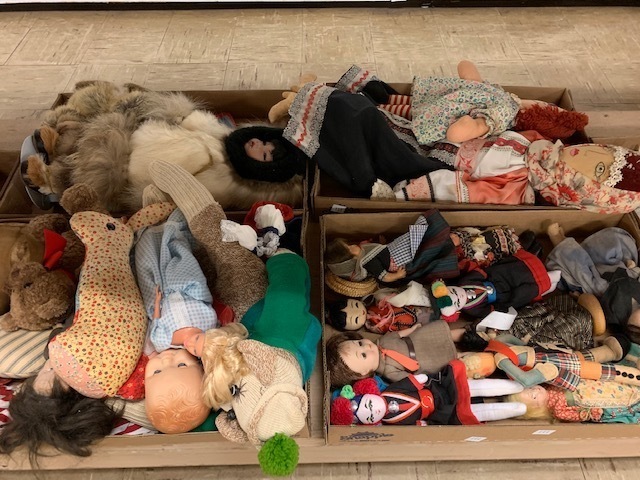 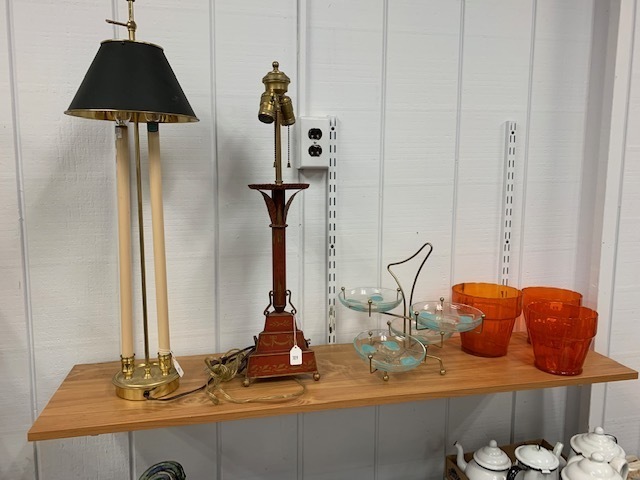 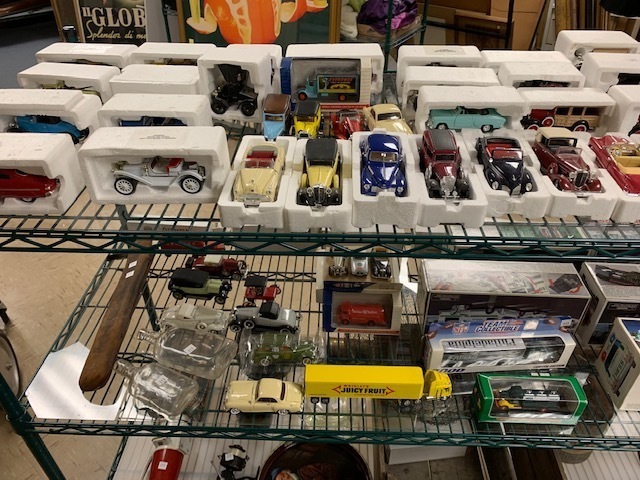 Auction starts with Antiques, Collectibles, jewelry and artwork in the Main Gallery, followed by toys, John Deere snow blower, box lots, tray lots, ladies gowns, coats, men’s shoes and jeans! 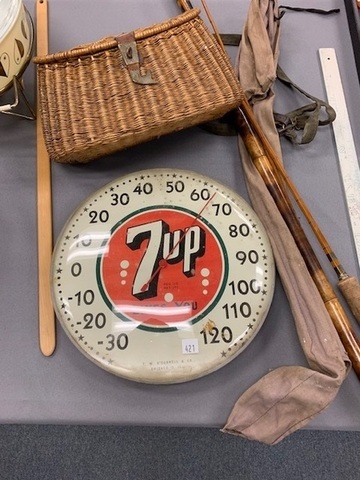 7-Up thermometer, fishing Creel, vintage dresser set, primitives including cutting boards, rug beaters, washboard, sad irons, mashers, stereoptic views, early leather bound German Bible, Carved Bellows, carved decoys, Sterling, magic viewer, porcelain and China pieces, depression glass, Victorian silver plate, decorative lamps, art glass vases, compote, mirrored dresser plateaus, Mid Century table lamp, Mary Thoughts made in England large mohair bear, brass meat server and copper bucket, Oil lamps, Wedgwood China service, candlesticks, vintage toys, crocs, 10 large tray lots of costume jewelry. 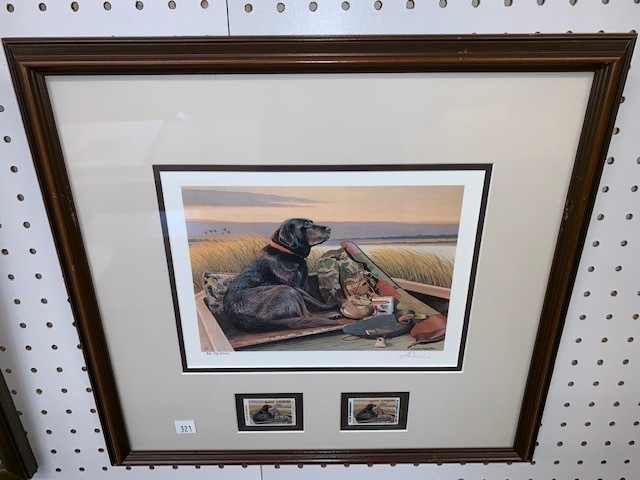 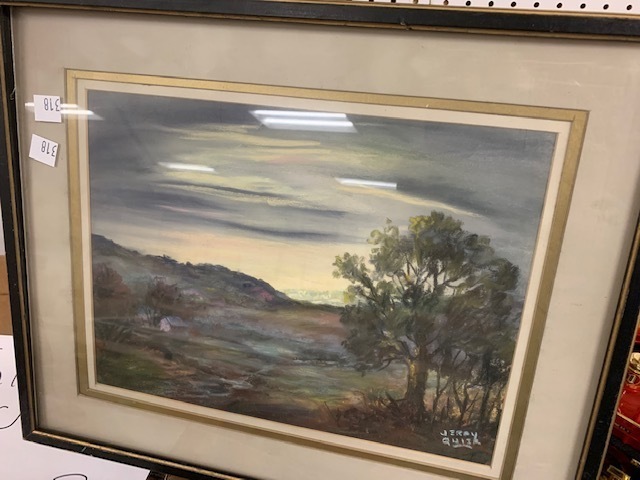 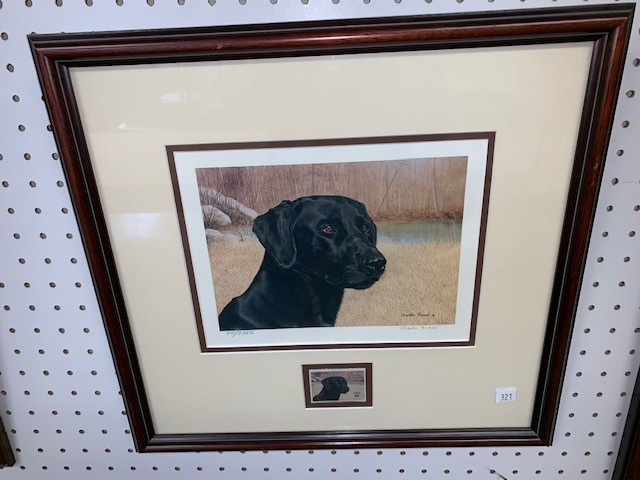 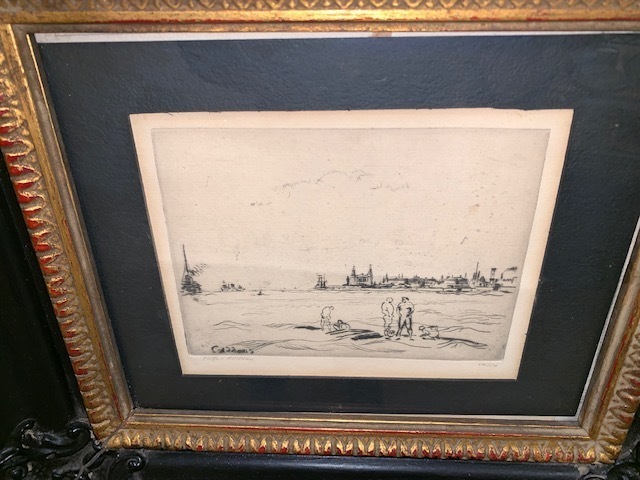 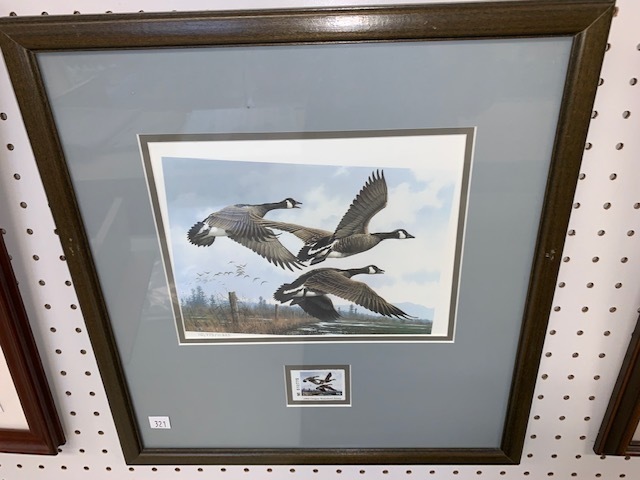 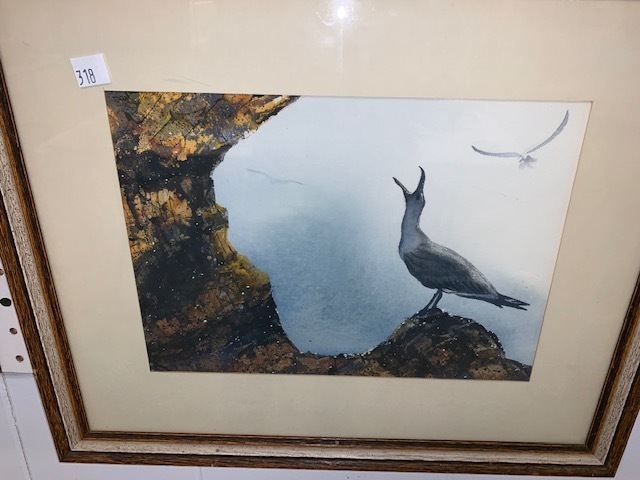 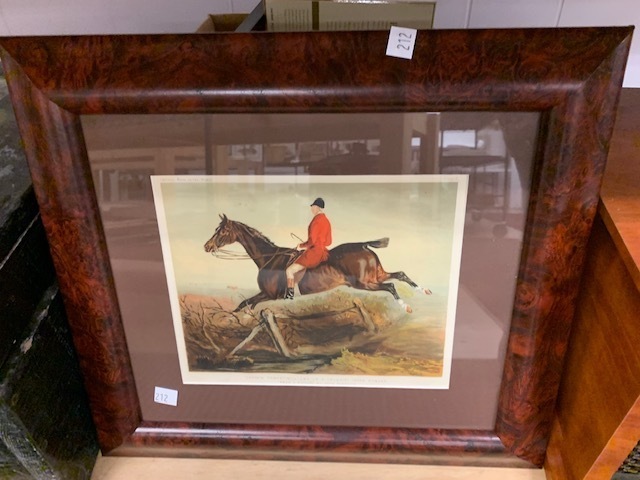 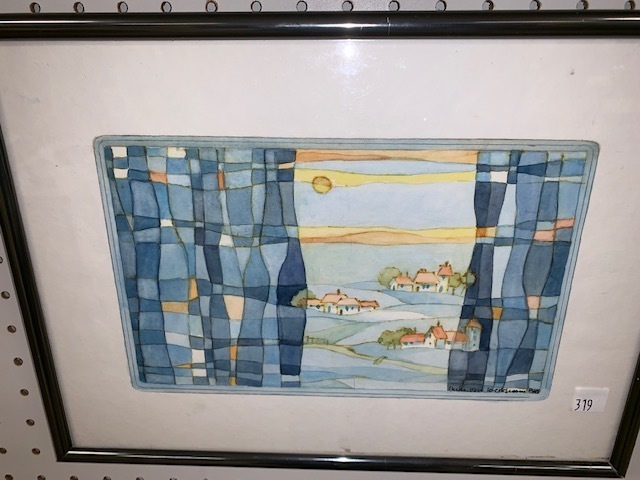 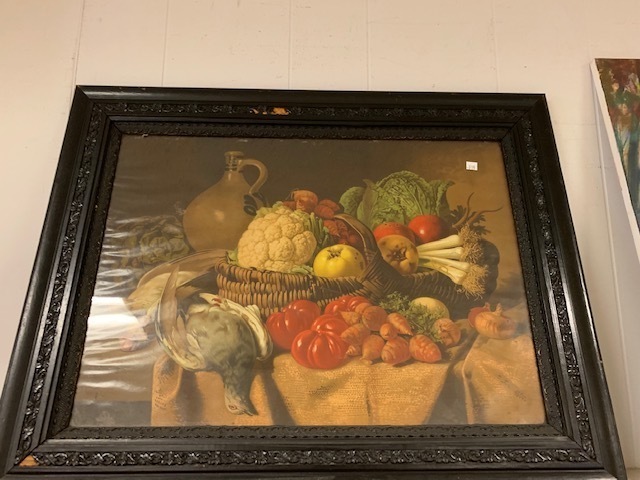 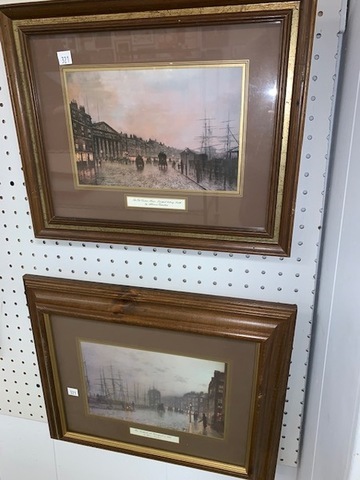 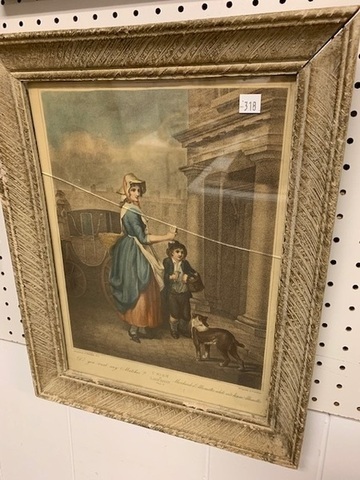 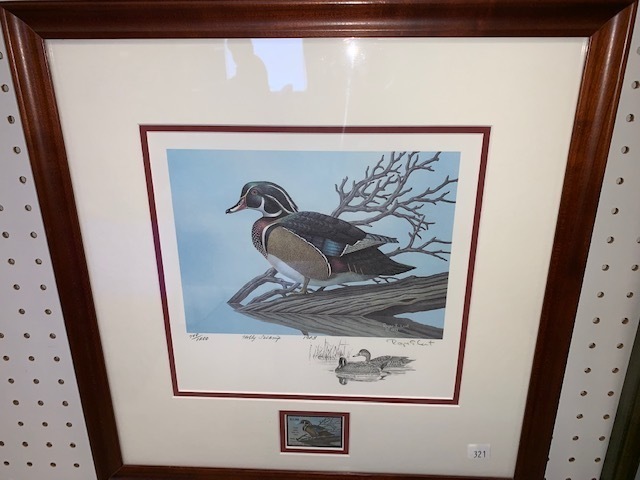 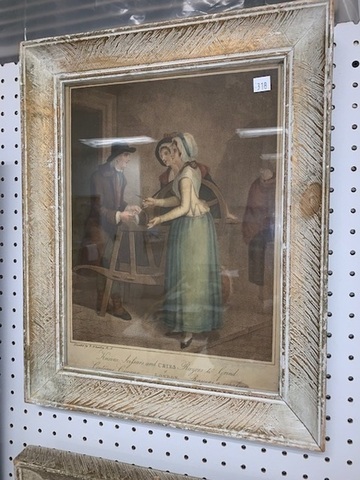 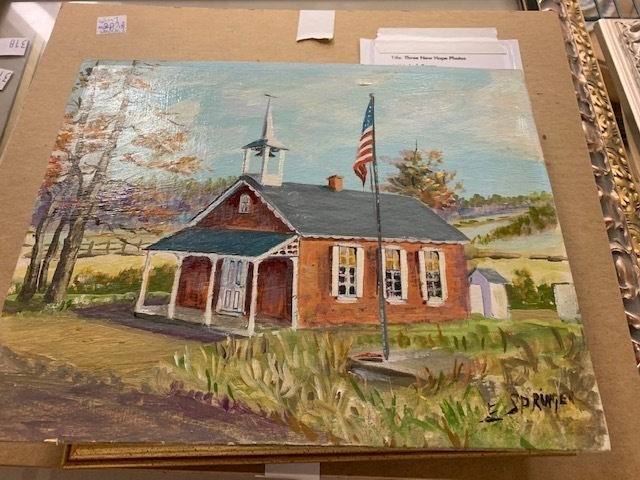 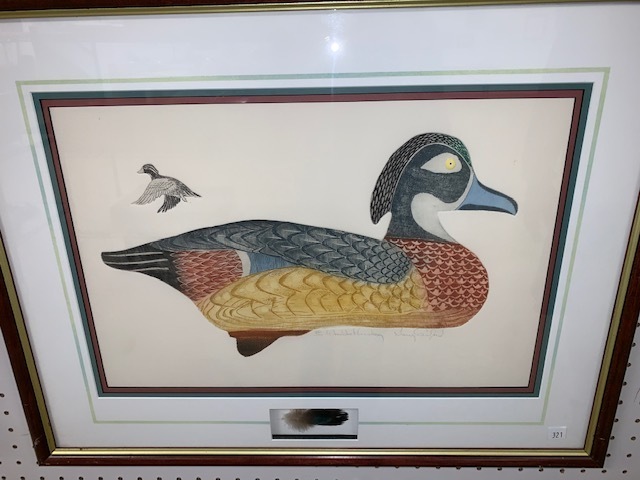 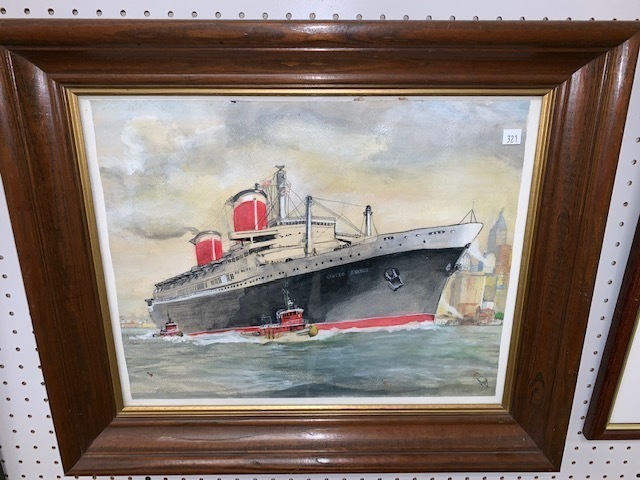 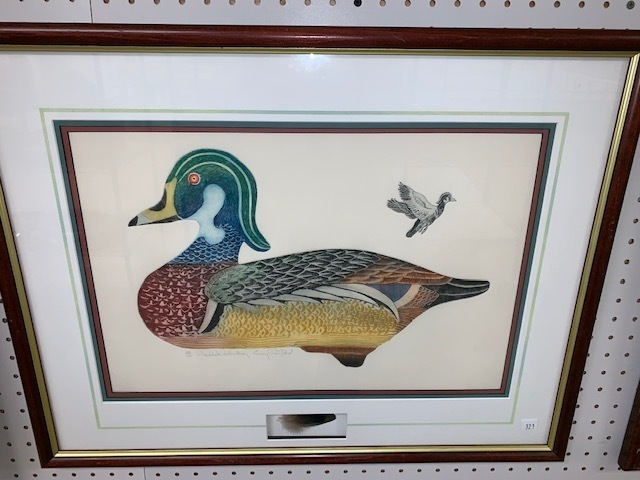 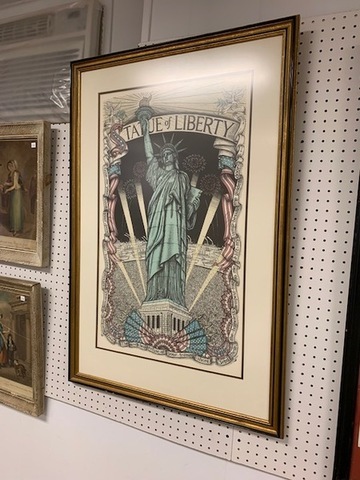 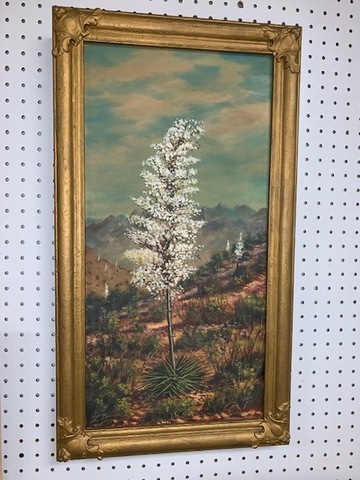 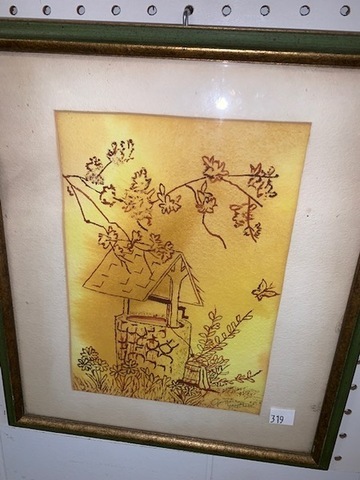 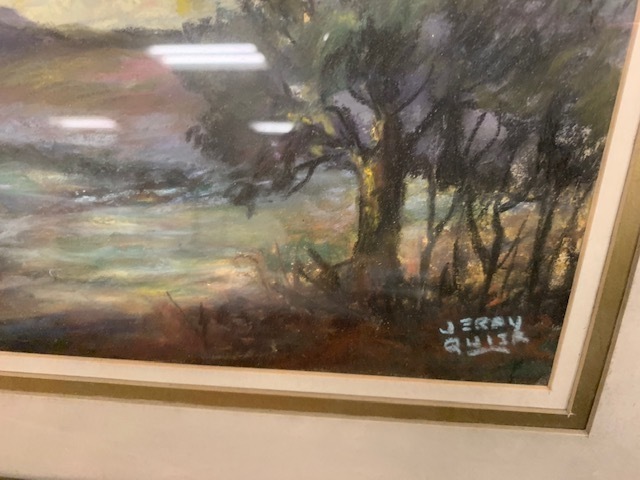 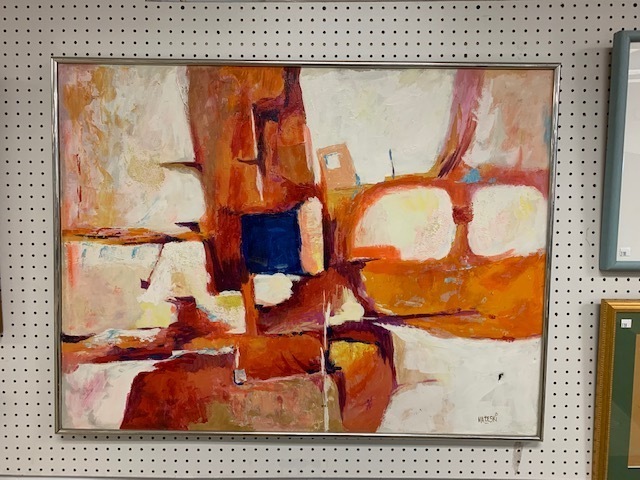 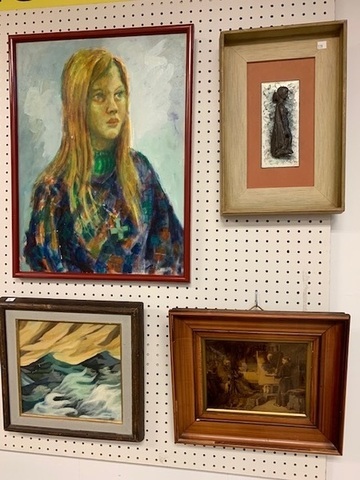 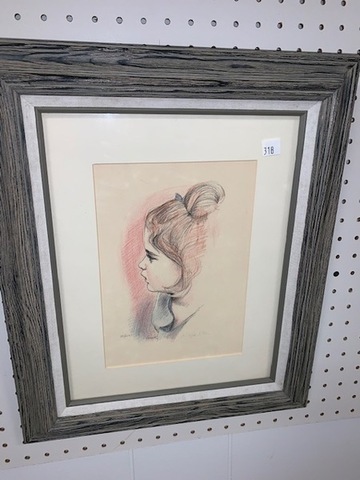 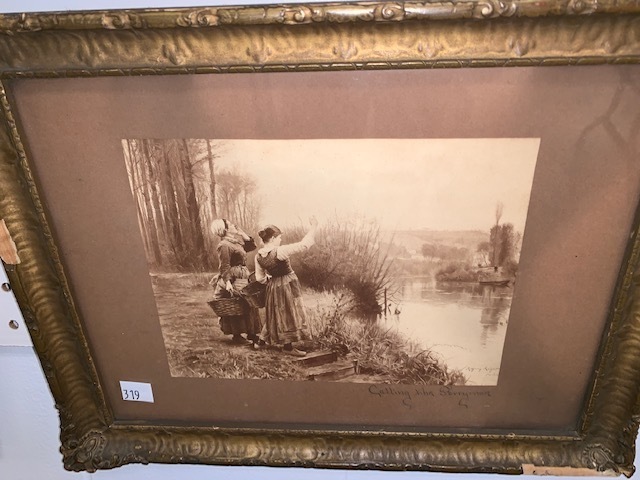 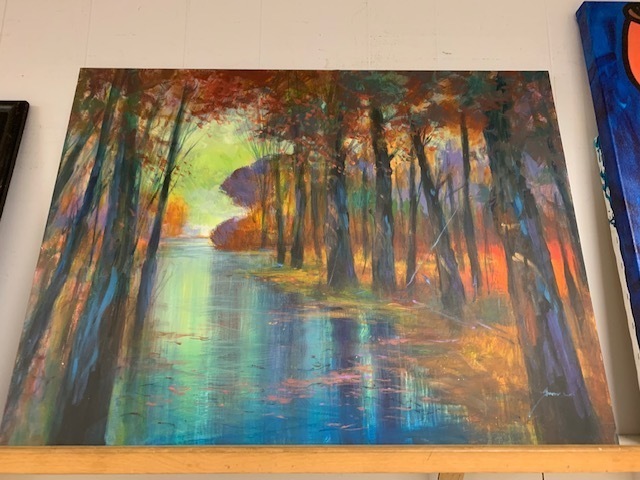 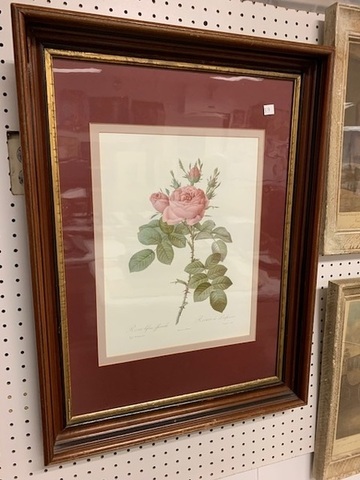 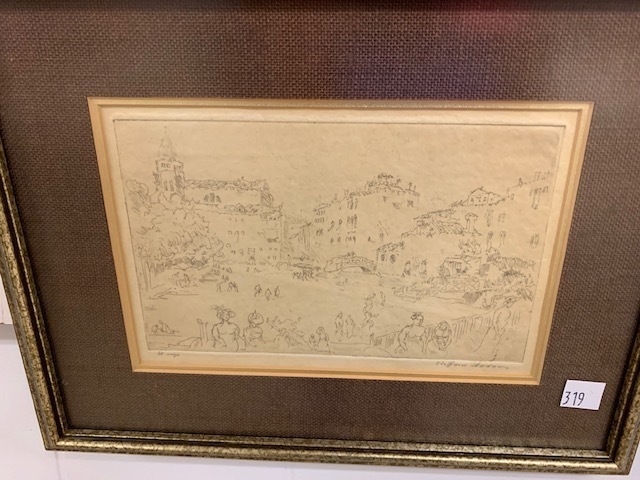 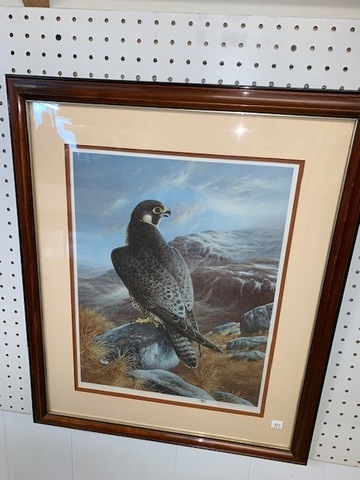 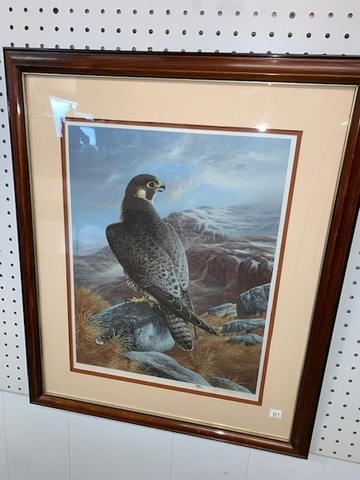 Lots of Artwork includes Jerry Quier pastel, oils on canvas, early color engravings, limited edition prints, 2 Wood duck color engravings by Larry Crawford, watercolor of United States ship, Charles Frace sporting dogs with stamps, frames. 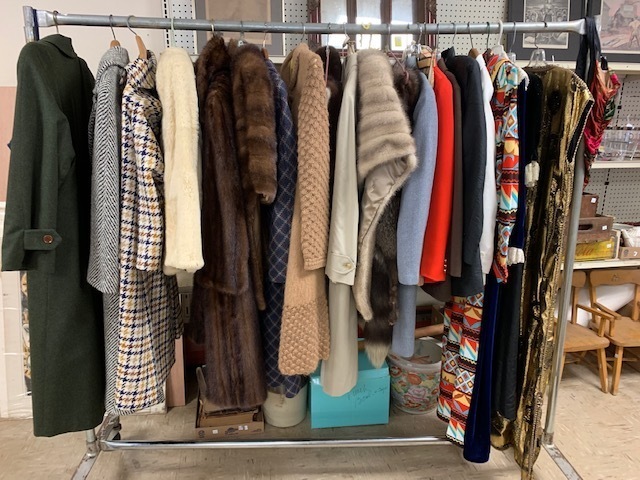 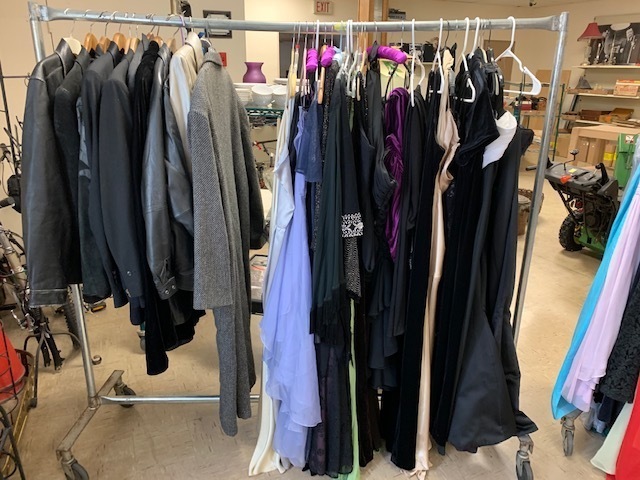 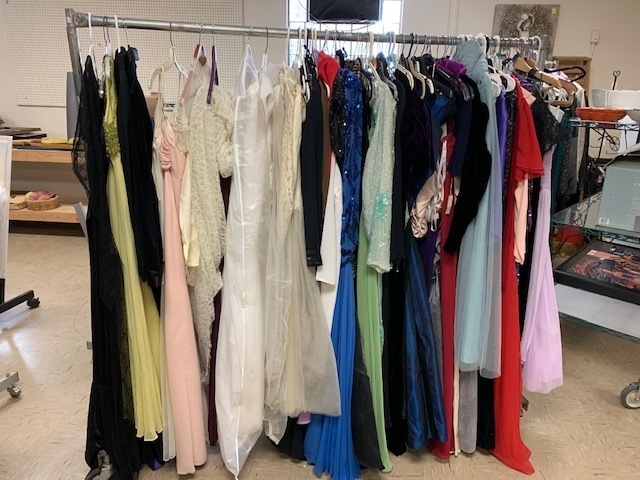 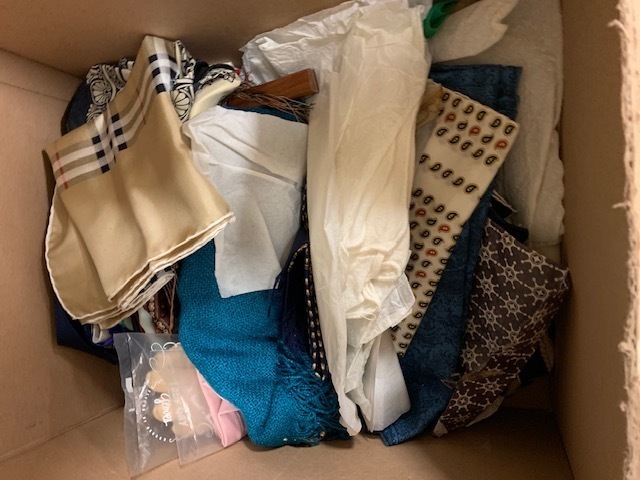 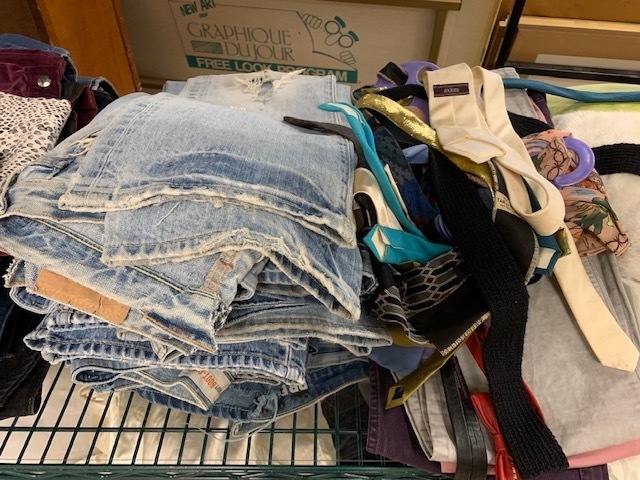 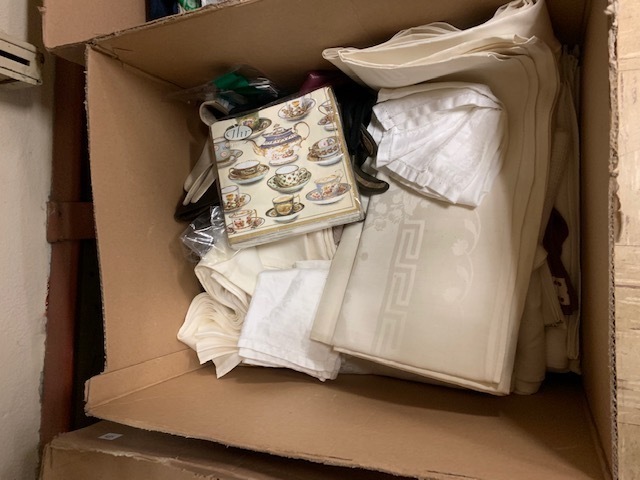 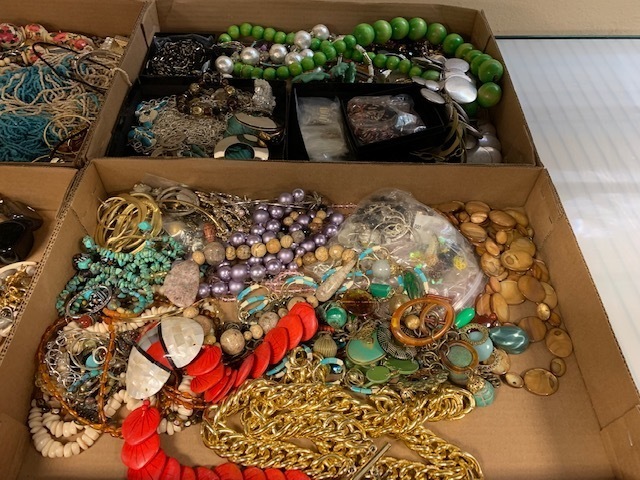 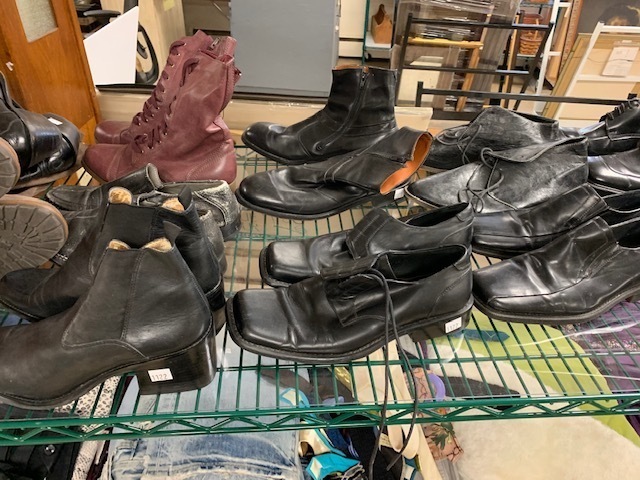 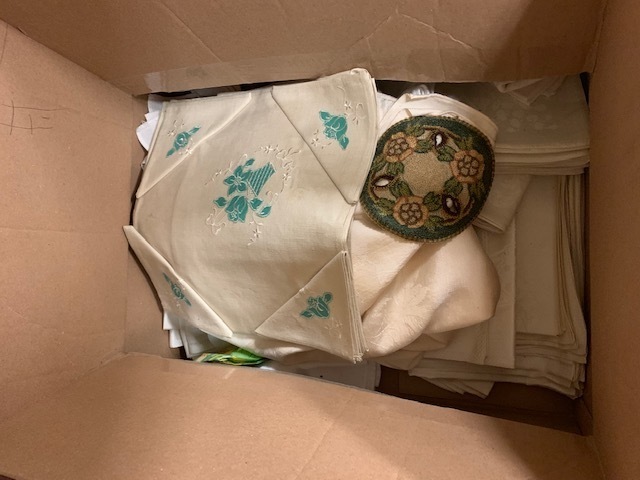 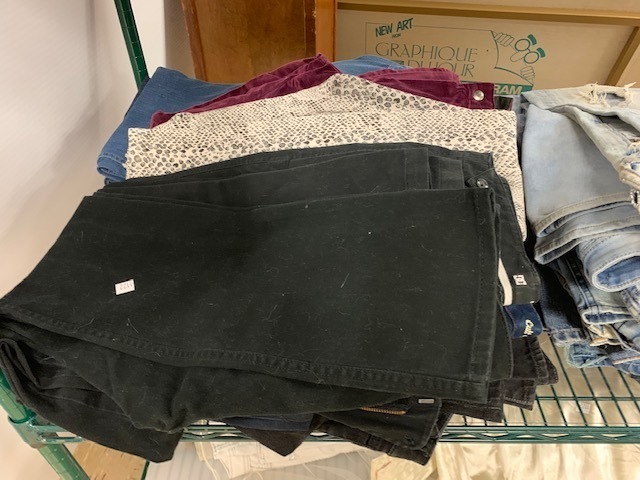 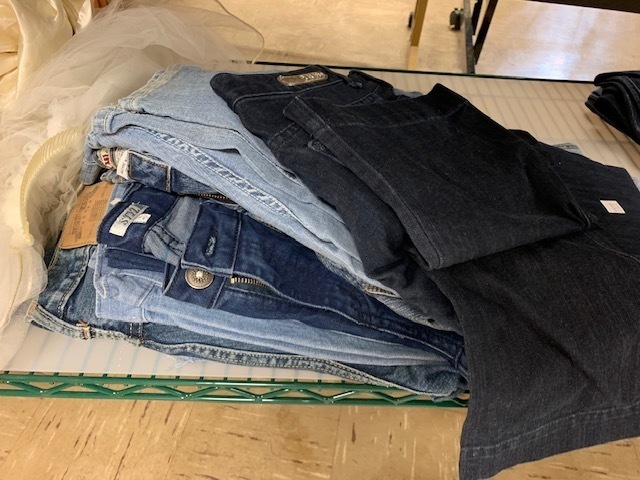 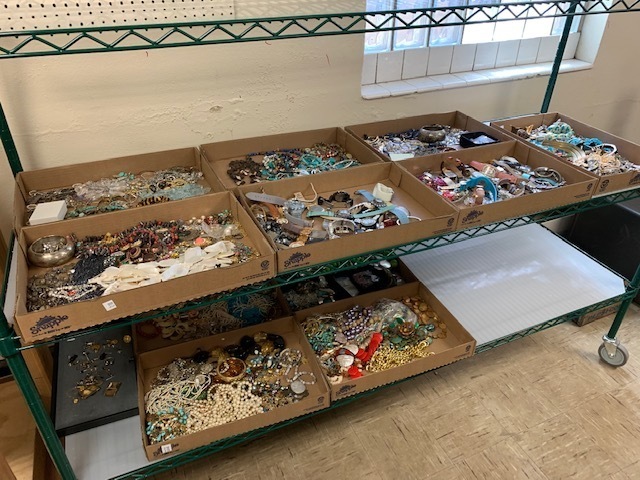 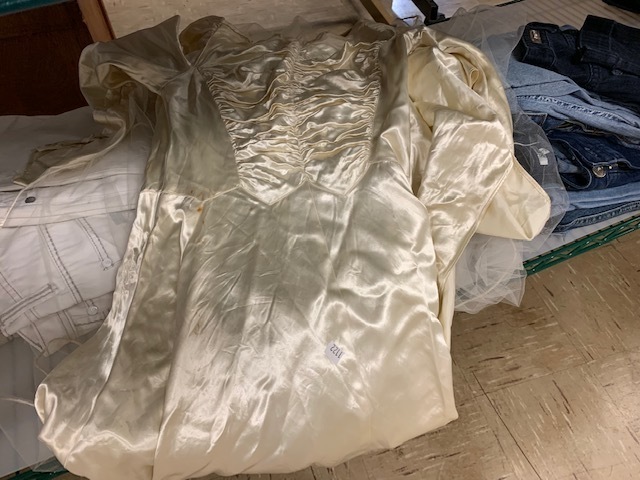 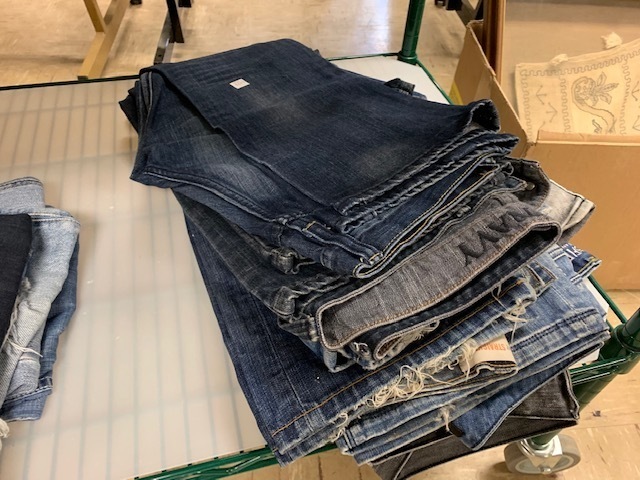 50 Ladies gowns, wedding dresses, coats including London wool, mink stole‘s, a few suits including Hugo Biscotti silk and Switzerland wool, purses, hats, Men’s vintage jeans, shoes and boots! 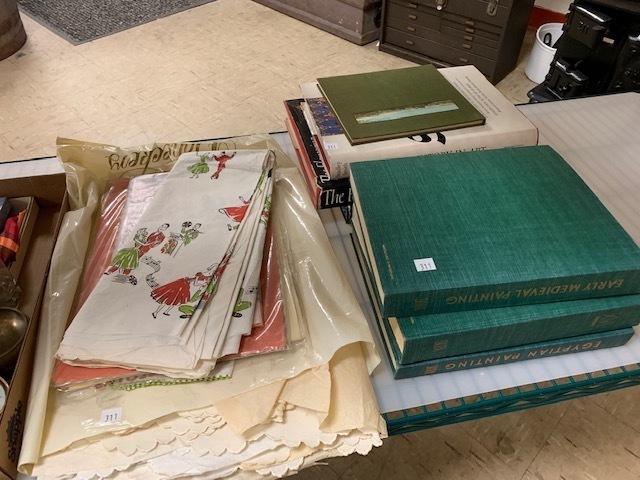 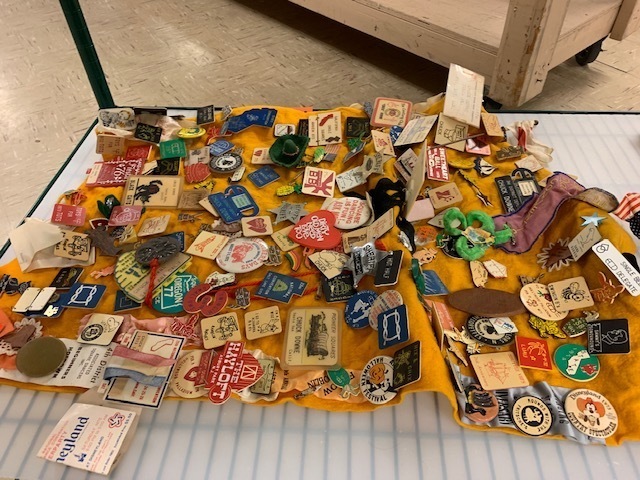 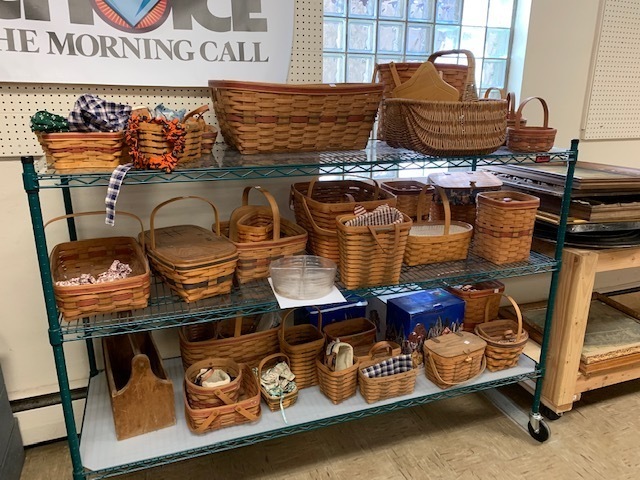 Longaberger baskets, 12 albums with first day covers, Souvenir mint set, thousands of first day covers and loose stamps. 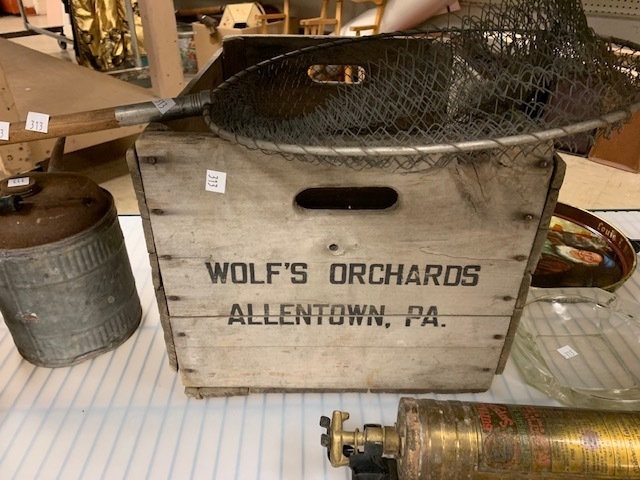 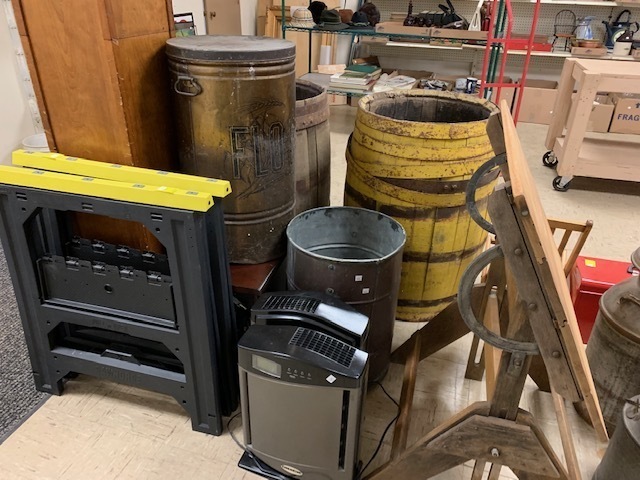 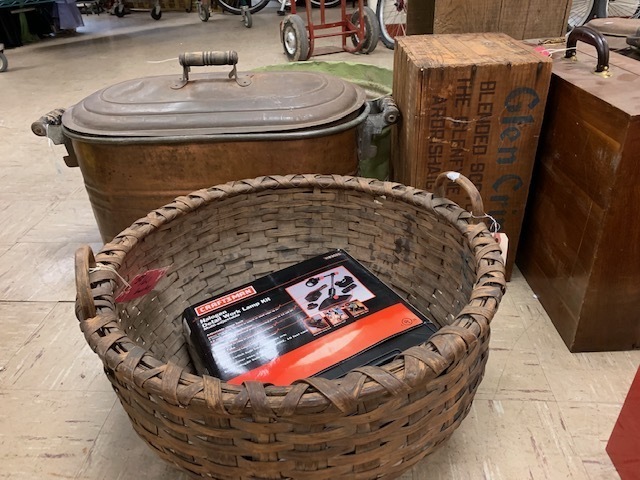 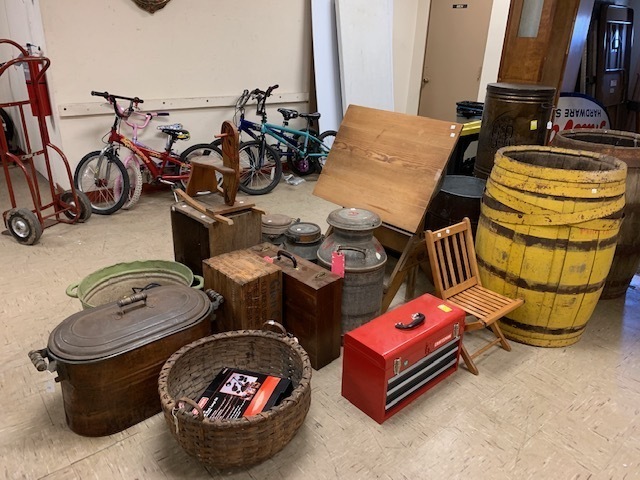 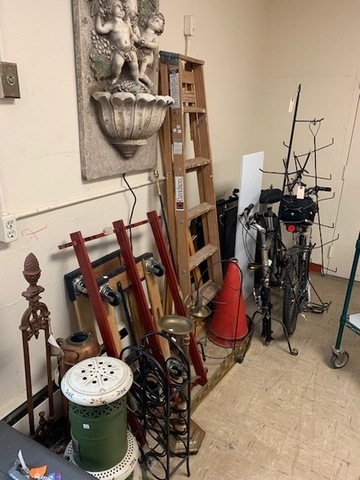 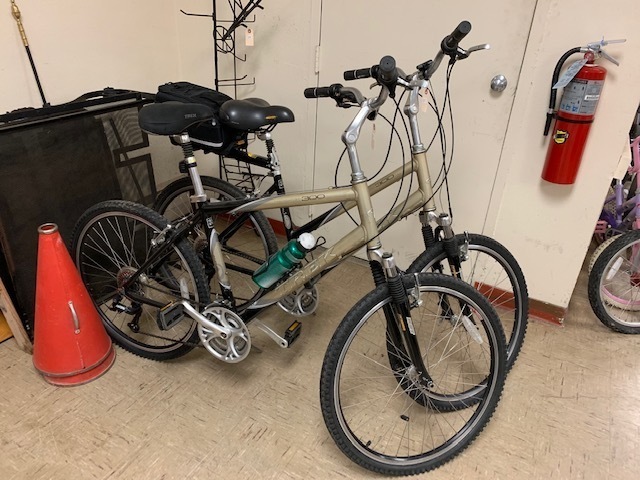 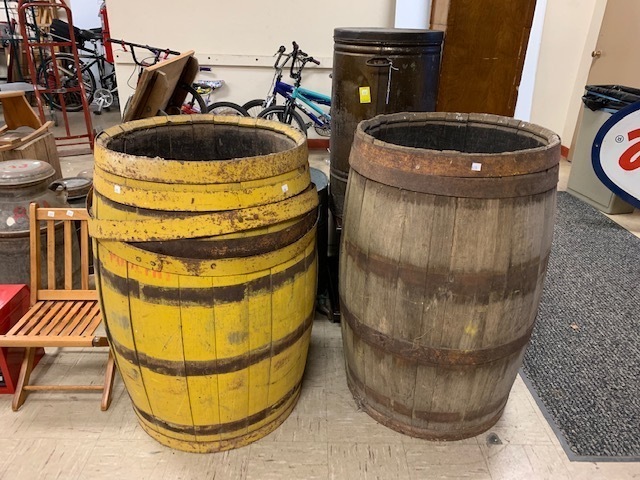 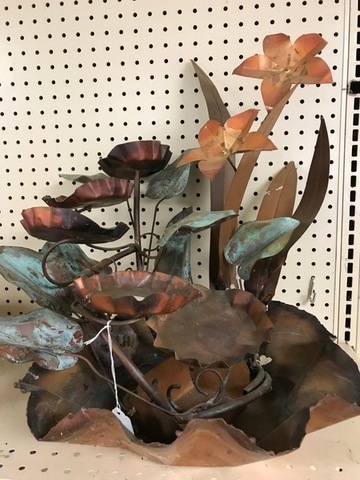 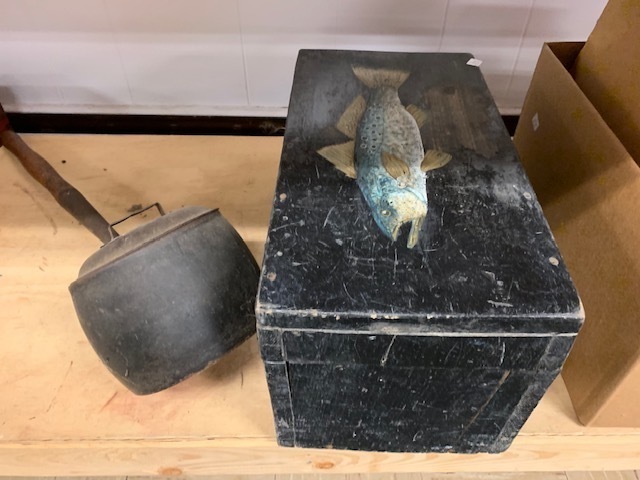 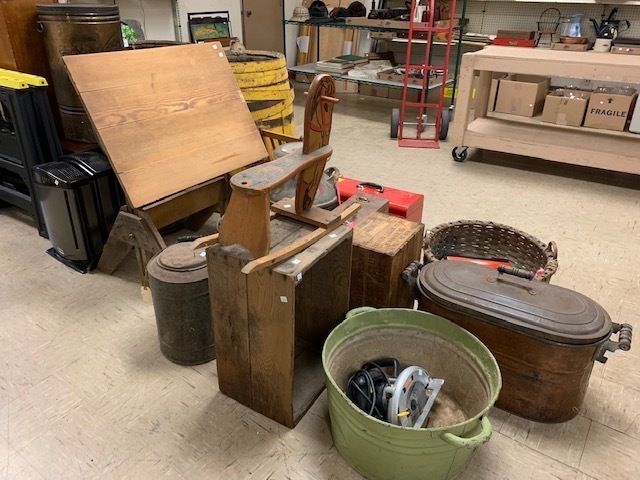 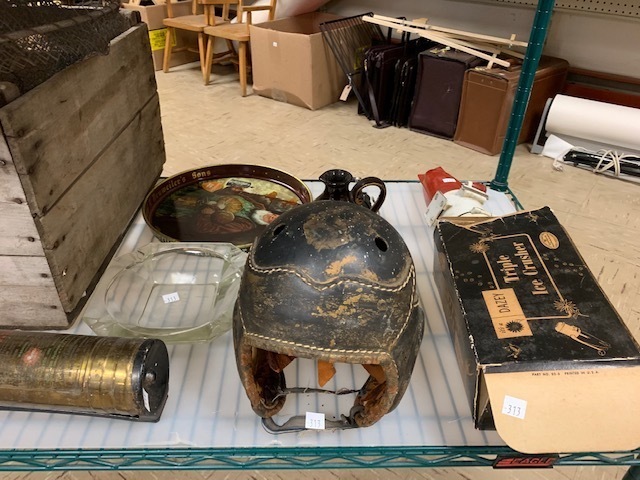 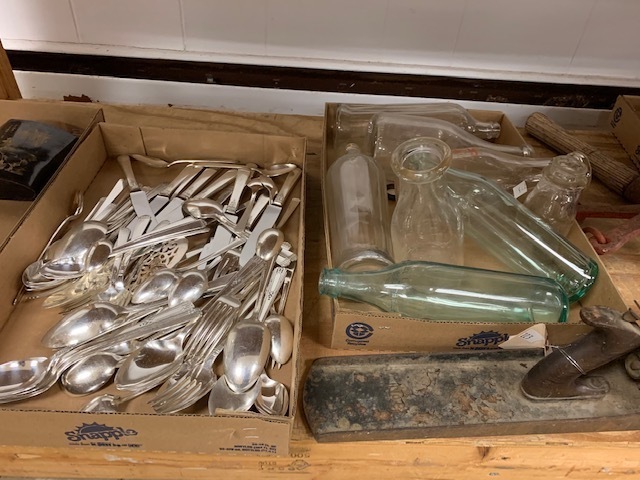 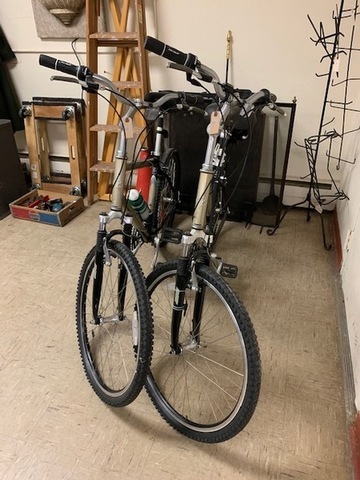 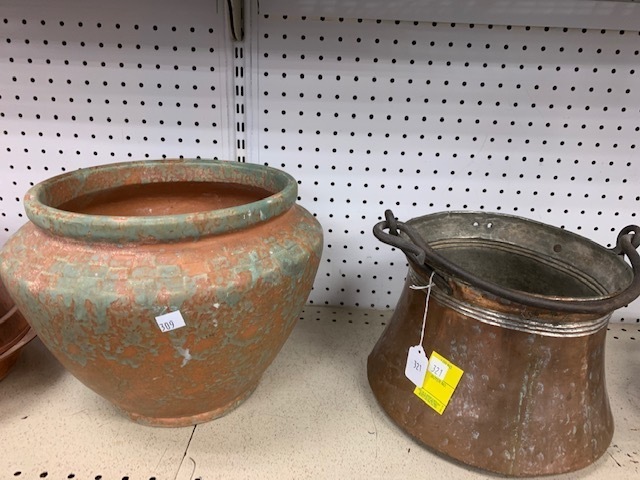 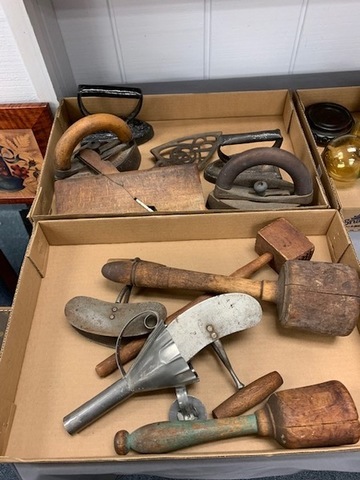 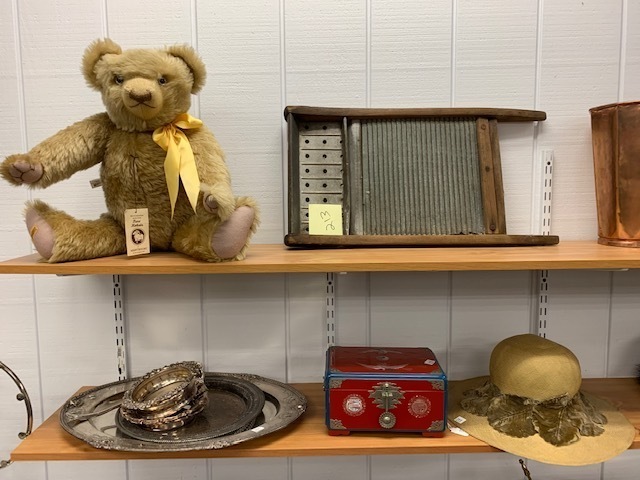 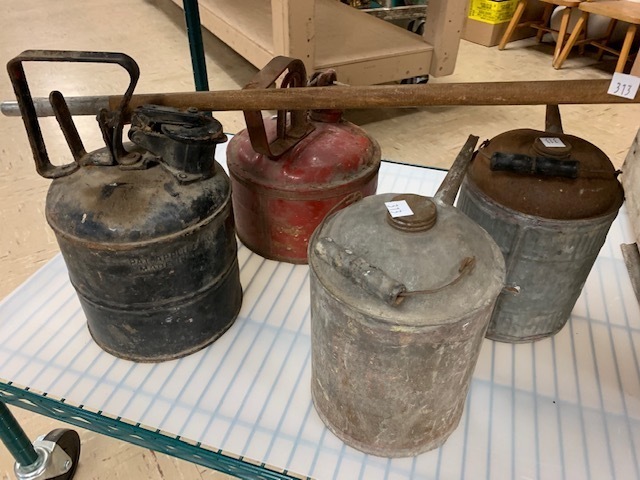 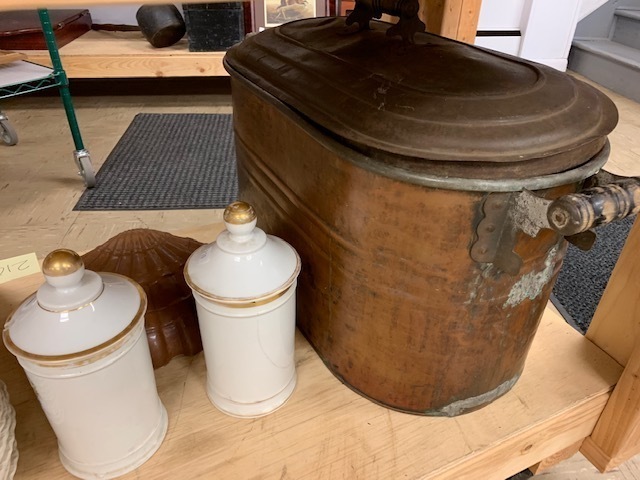 Two large wooden barrels, milk can, advertising boxes, early woven basket, copper boiler, large flower 10, work horses, small cast iron stove, wooden tool, bicycles including two navigator 300 trek bikes, and so much more! 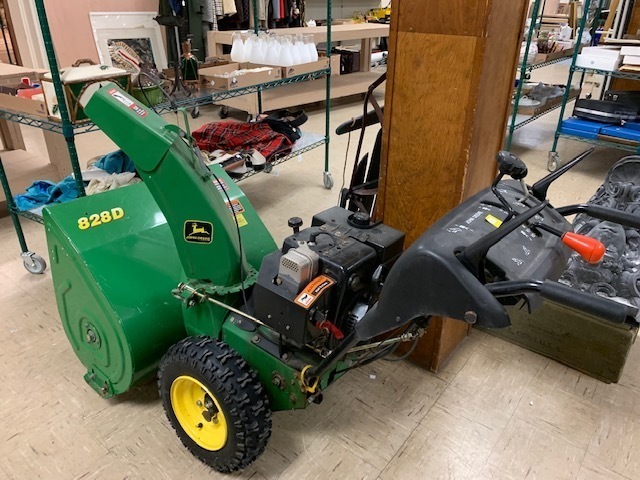 Newer John Deere 828D snow blower! 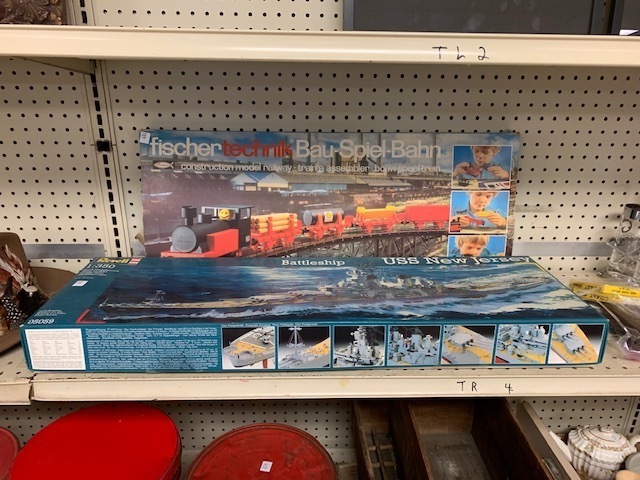 Plan on spending the day! 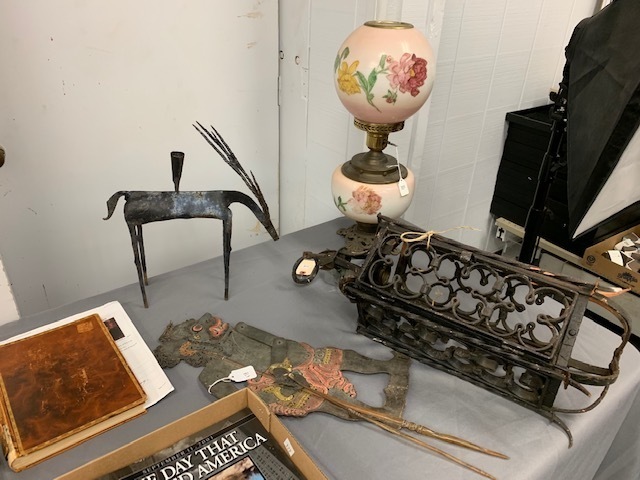 Come for furniture and rugs at 10 AM and stay for a full afternoon selling in the gallery! Visit www.tomhallauctions.com for lots of photos & terms. 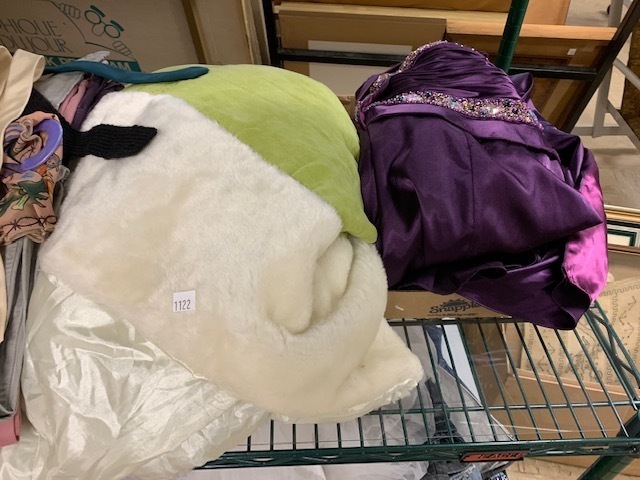 We are in the process of setting up this auction. 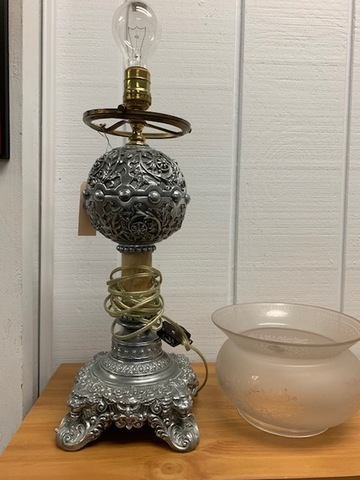 Check back soon for more info & photos.